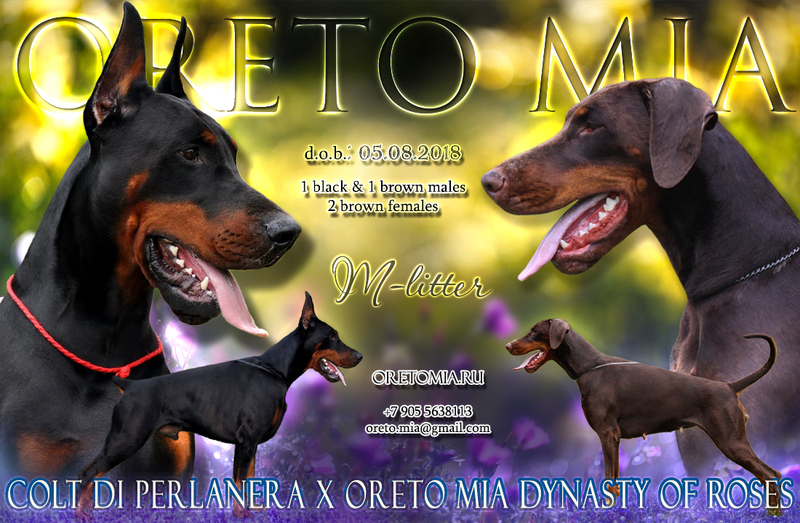 Oreto Mia Оrion - 1 vp. in baby class! 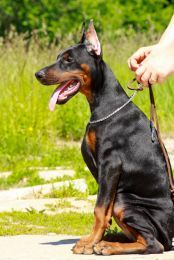 Oreto Mia Here Comes the Sun - 1 exc. 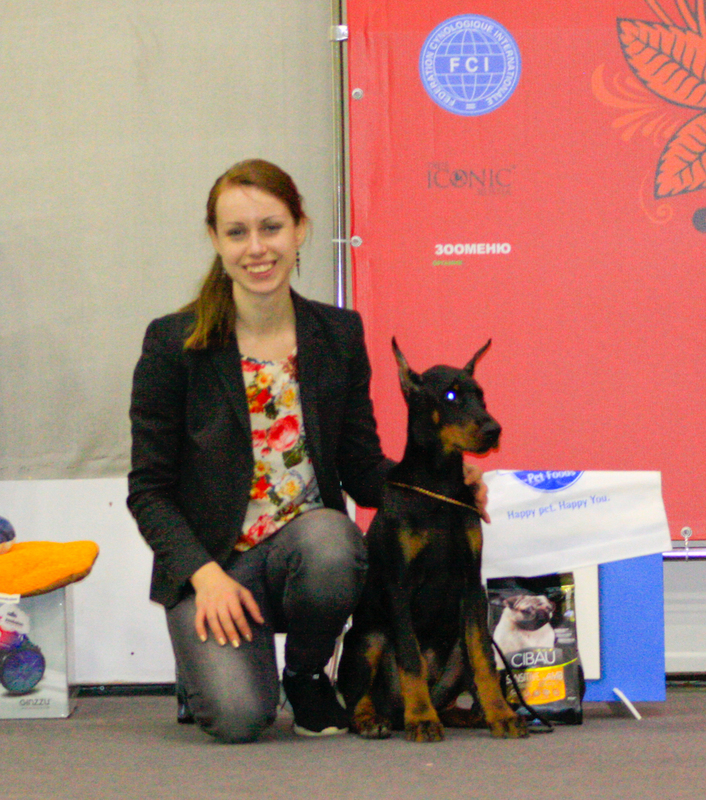 in winner class, CCC! 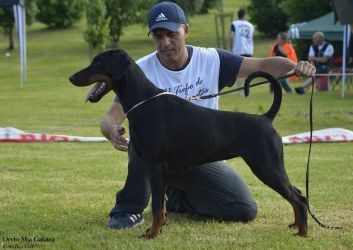 Oreto Mia Etoile Noire - 1 exc., CAC, CACIB, BOB!!! Oreto Mia Moon Triumph to Immortal - 1 vp. 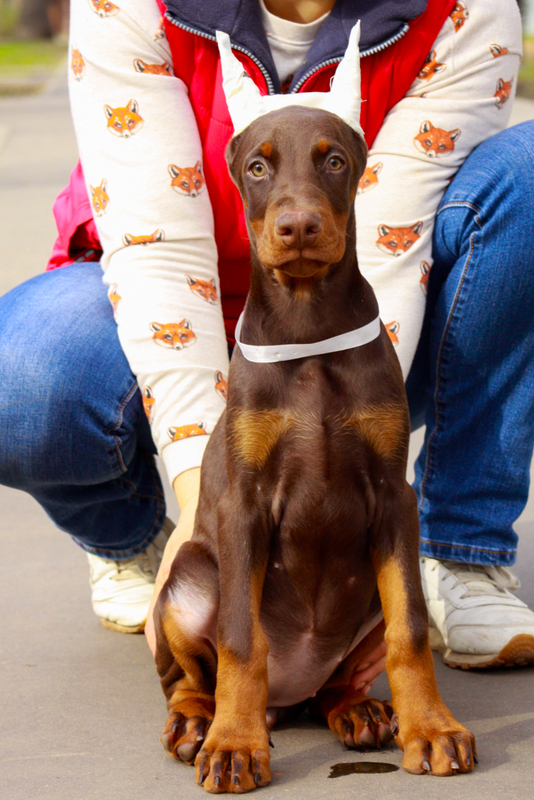 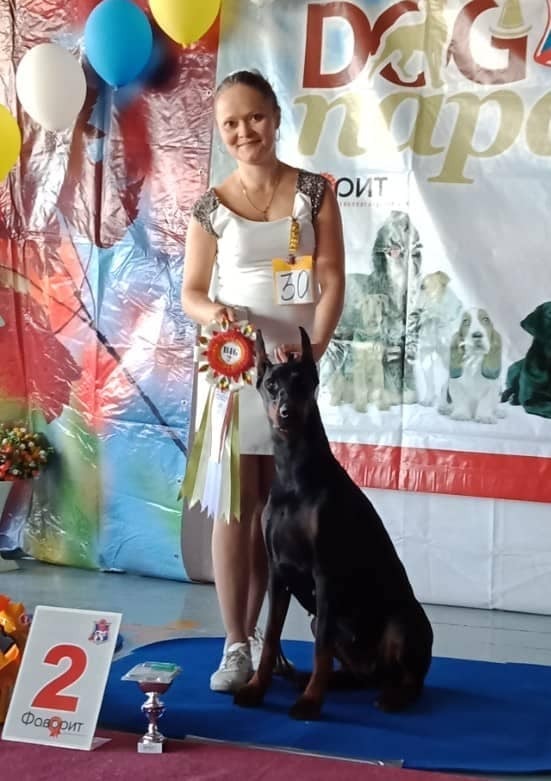 in puppy class, Best Puppy, BIS-2!!! 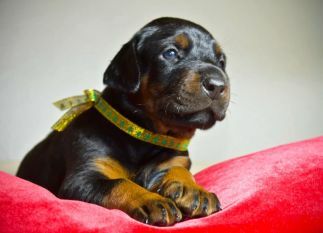 Litter "N" - new photos! 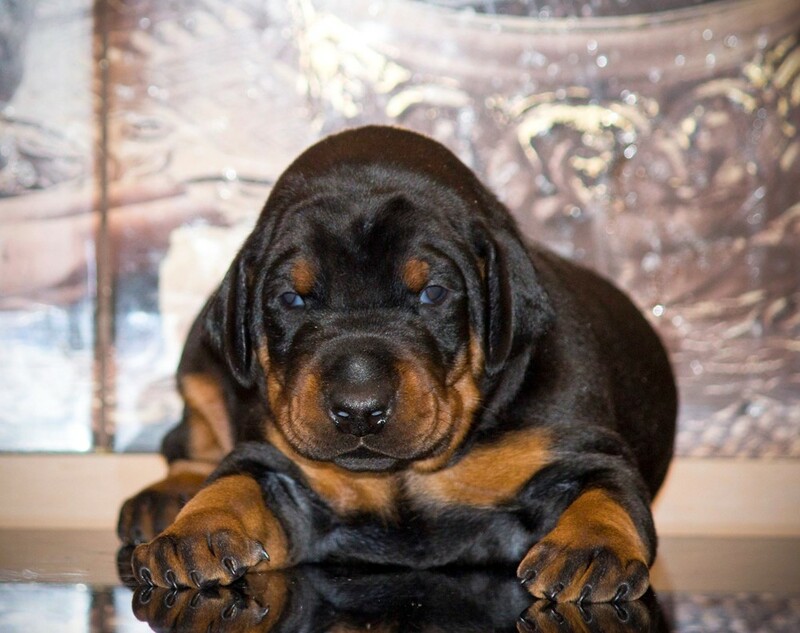 Puppies are 7.5 weeks. 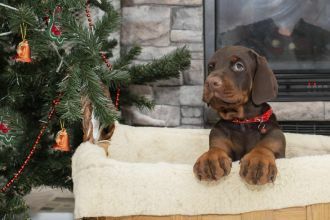 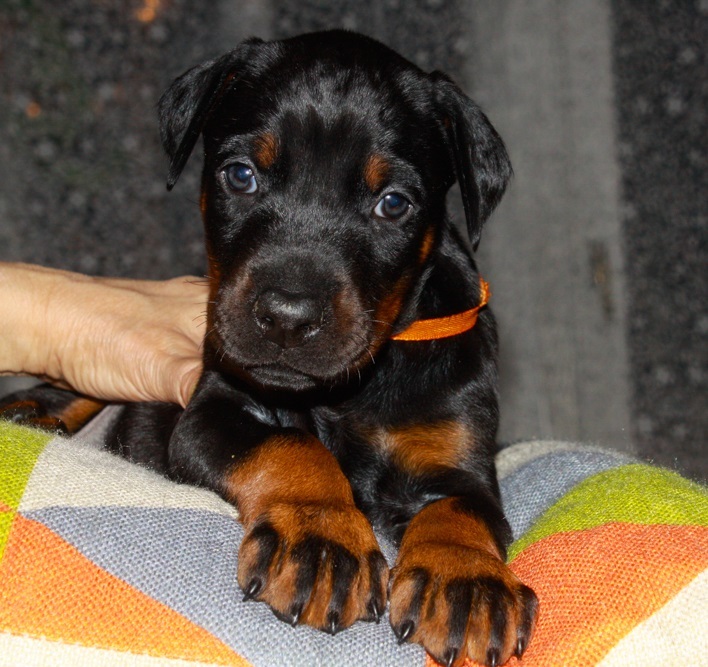 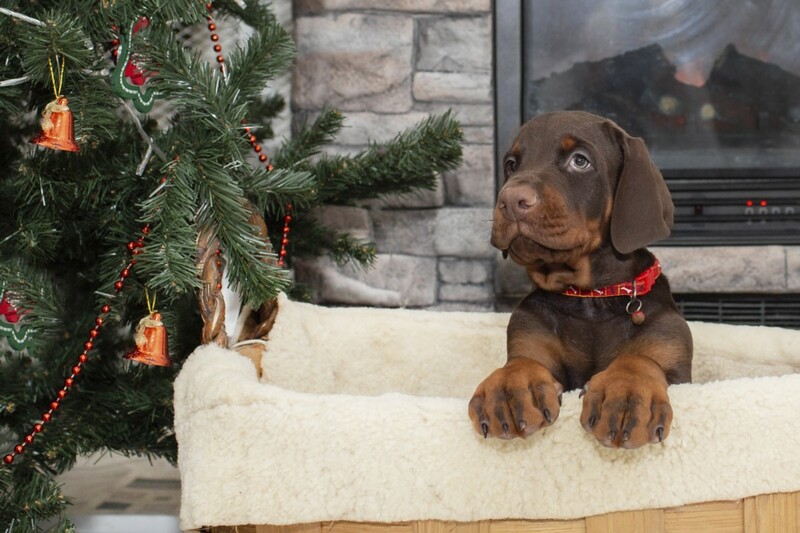 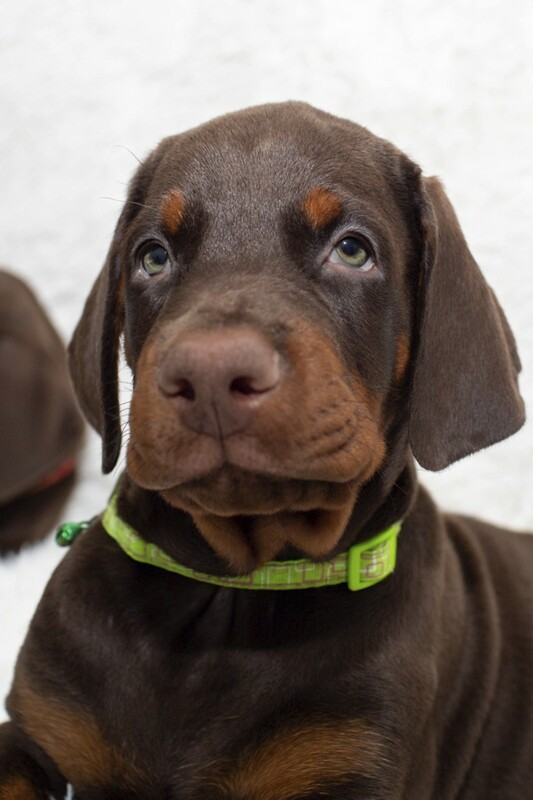 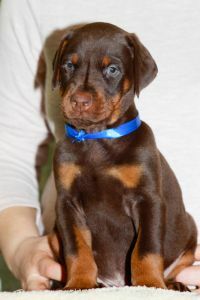 3 brown and 1 black males are available. 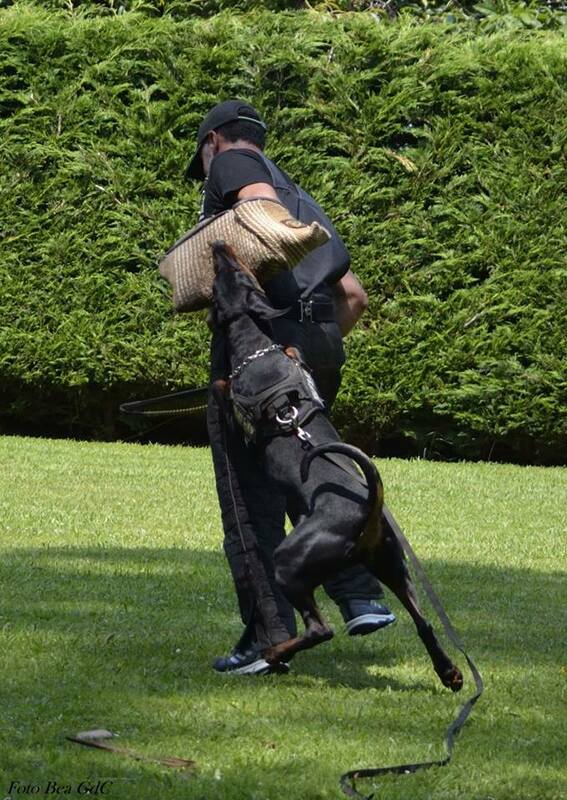 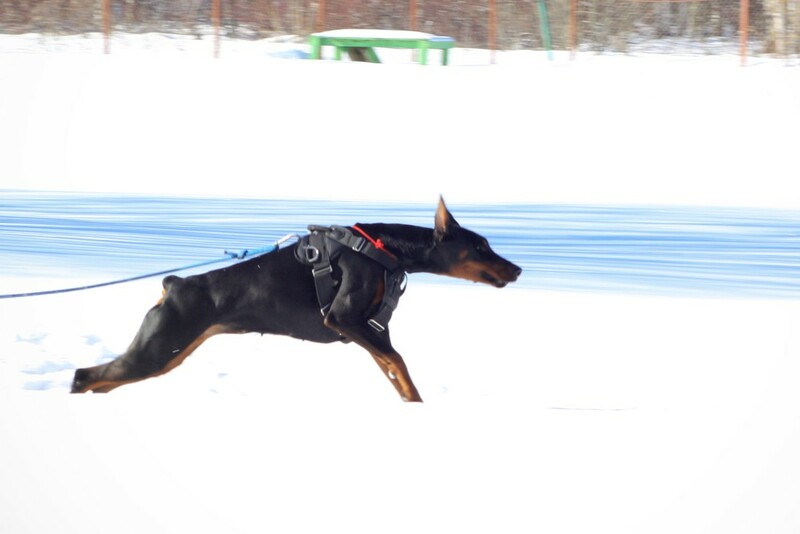 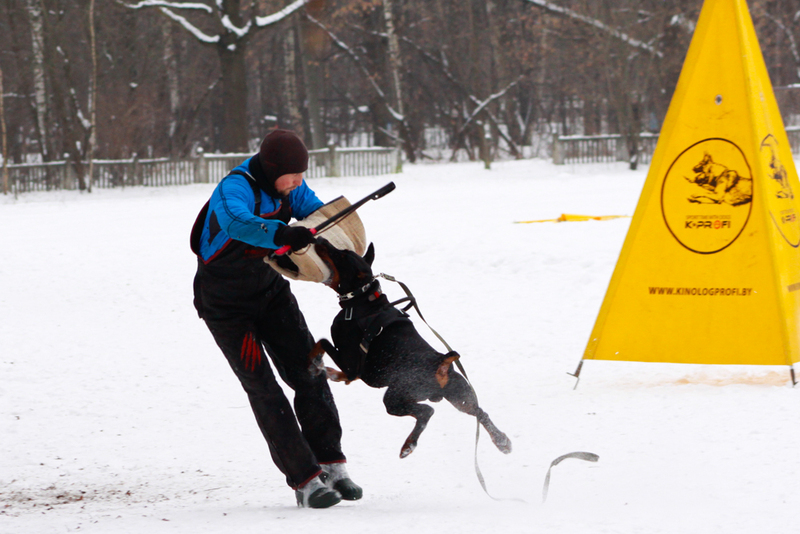 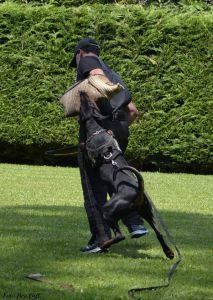 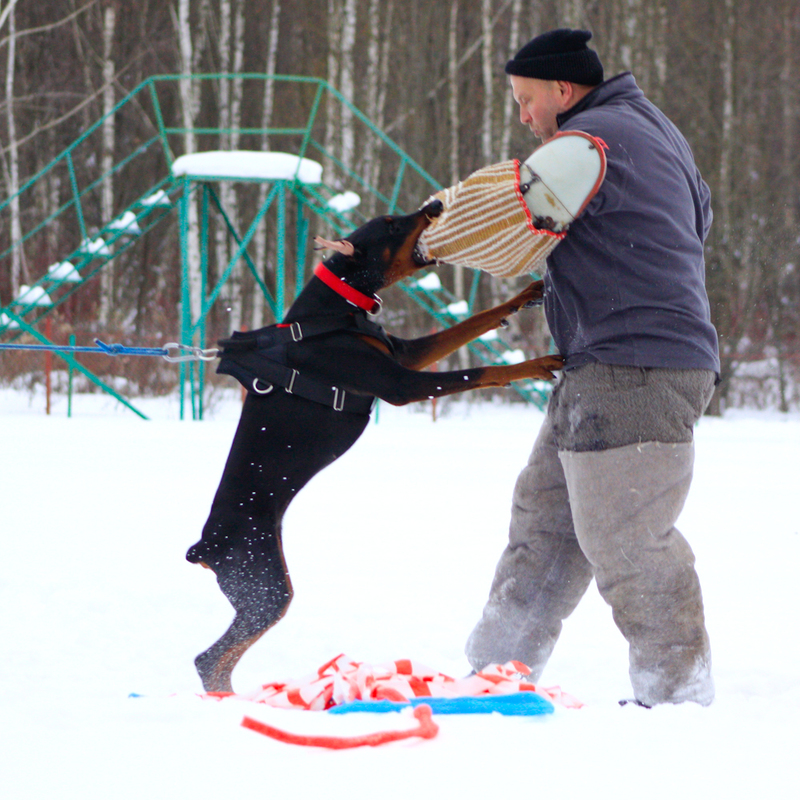 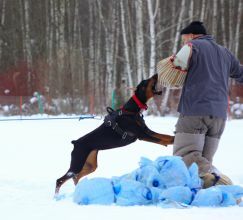 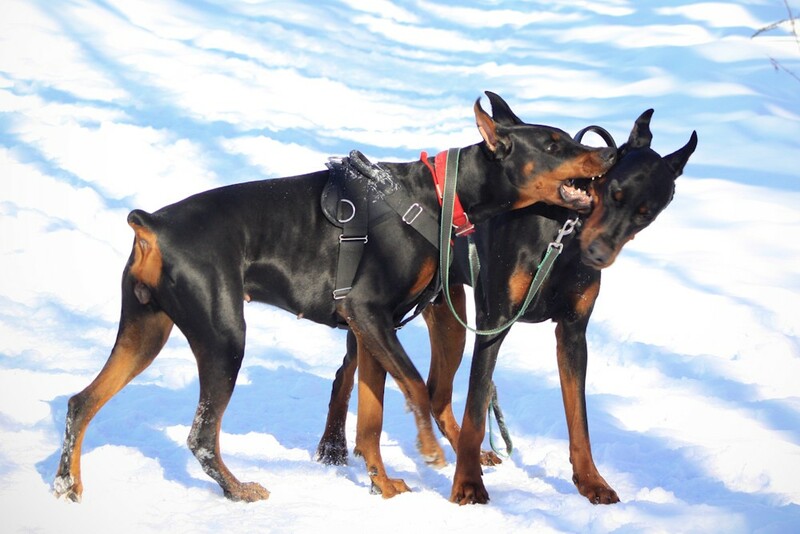 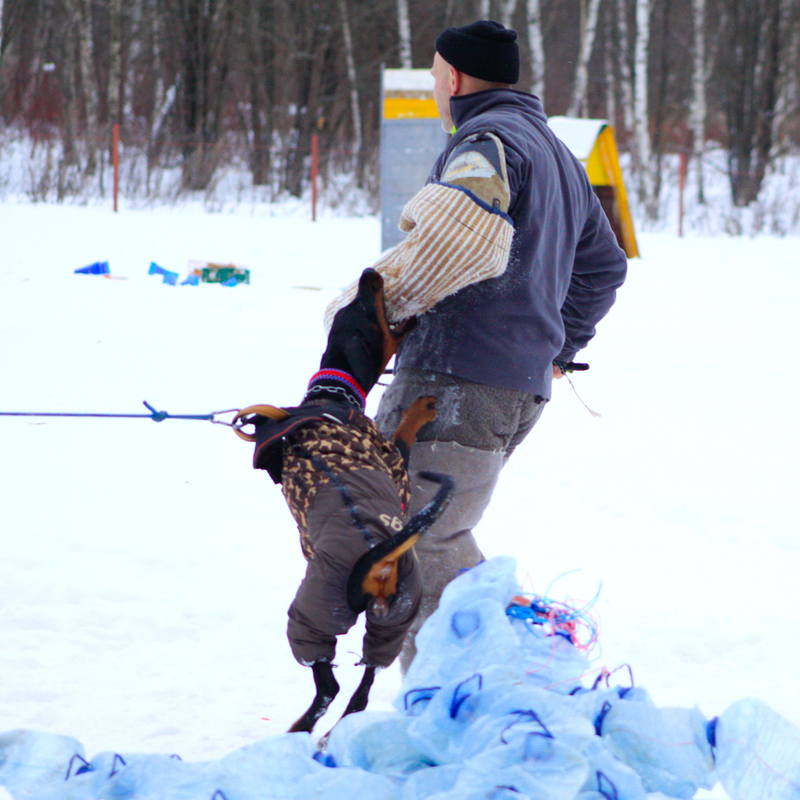 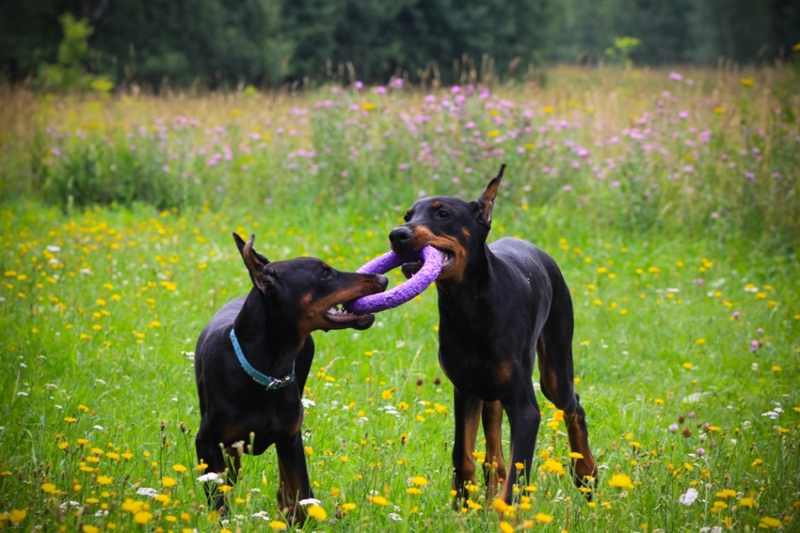 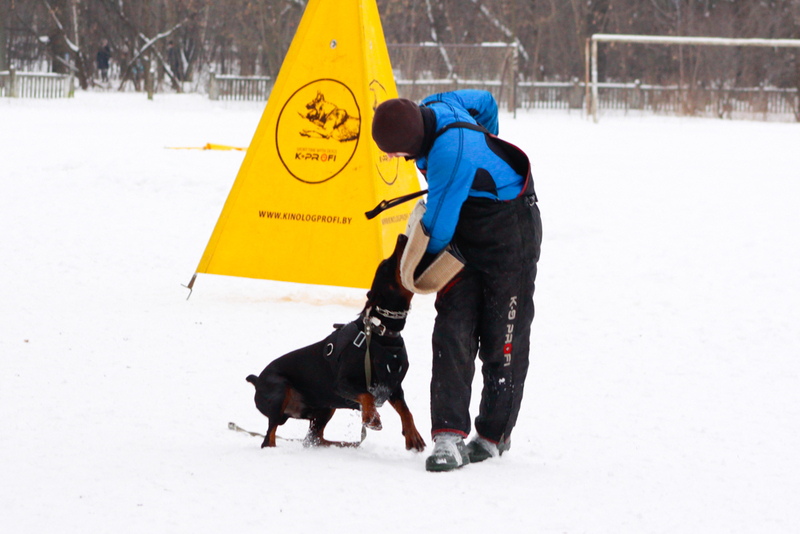 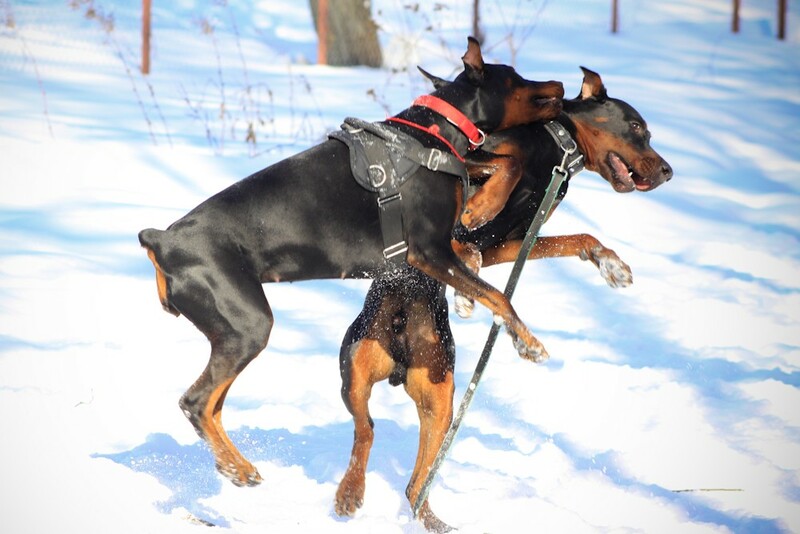 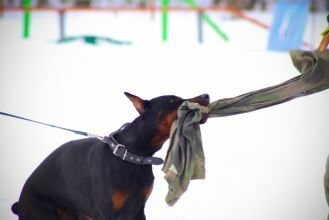 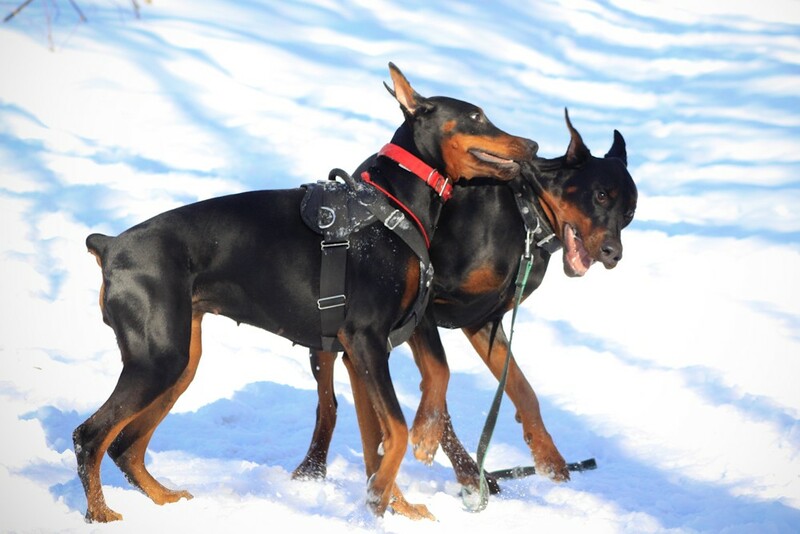 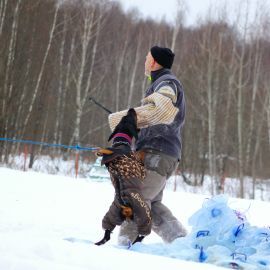 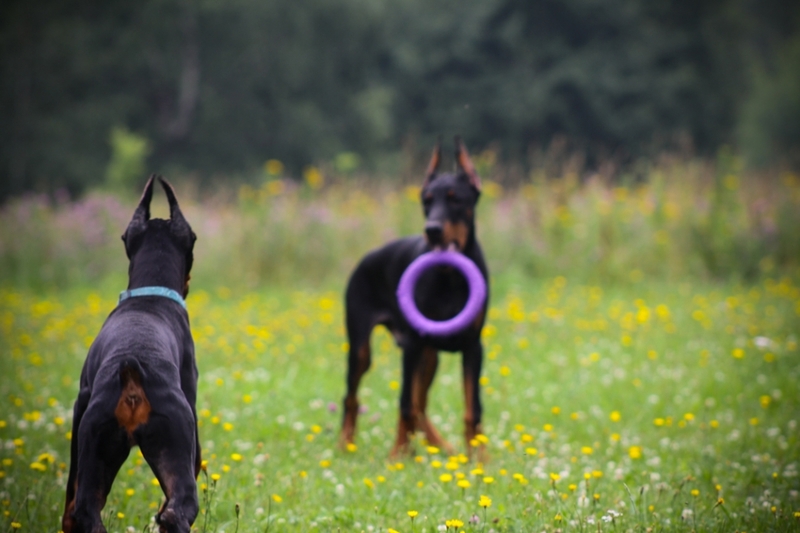 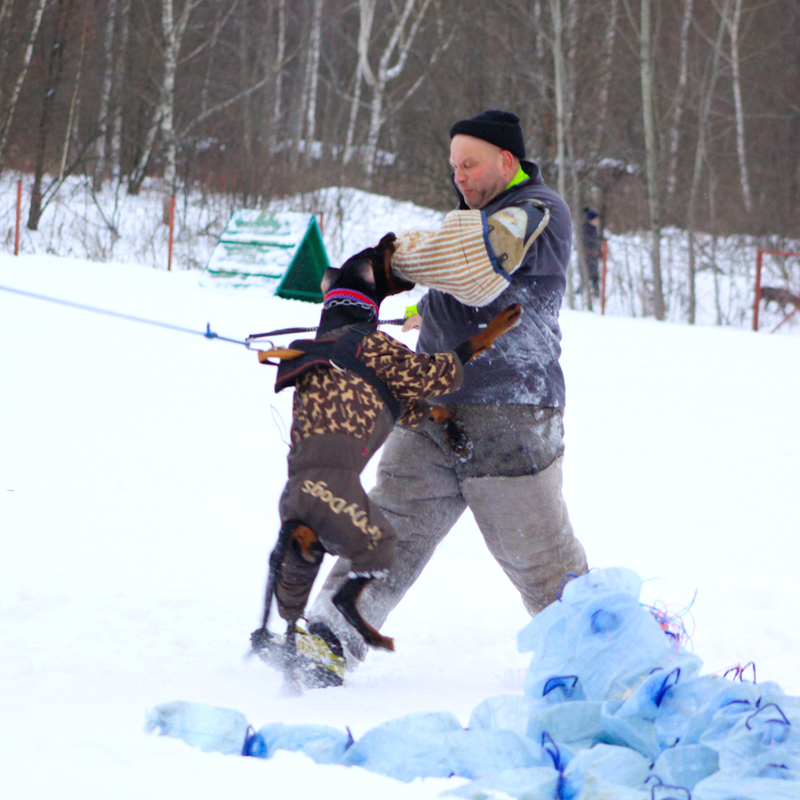 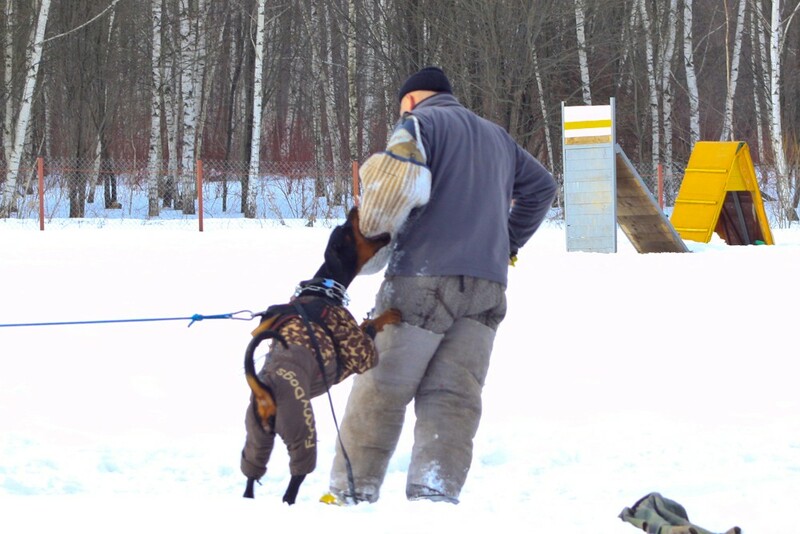 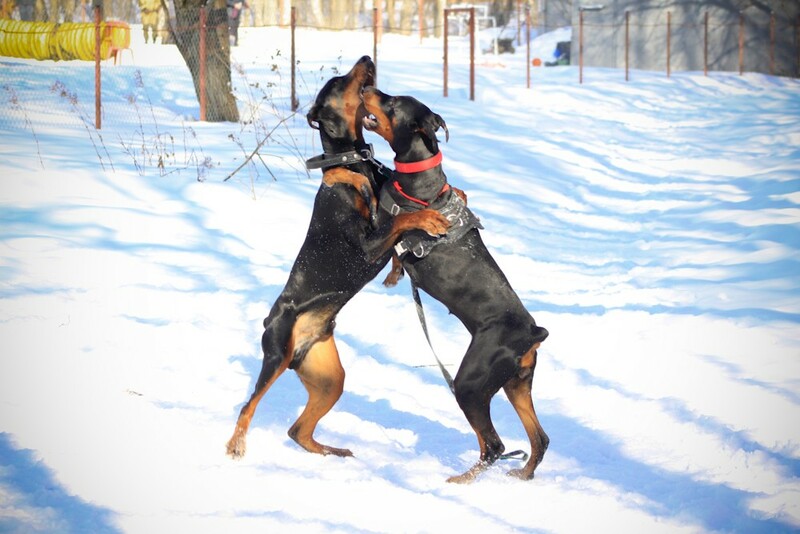 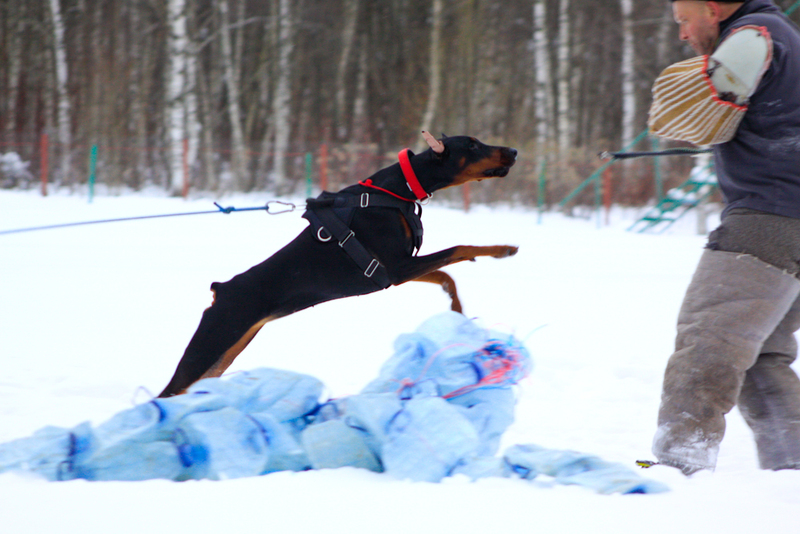 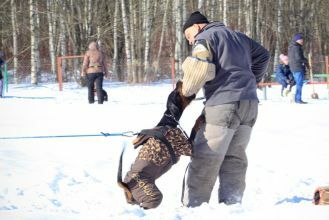 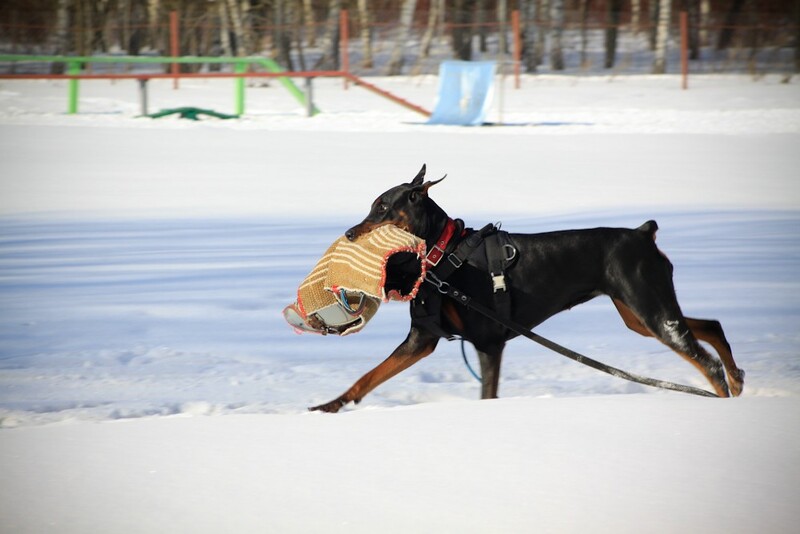 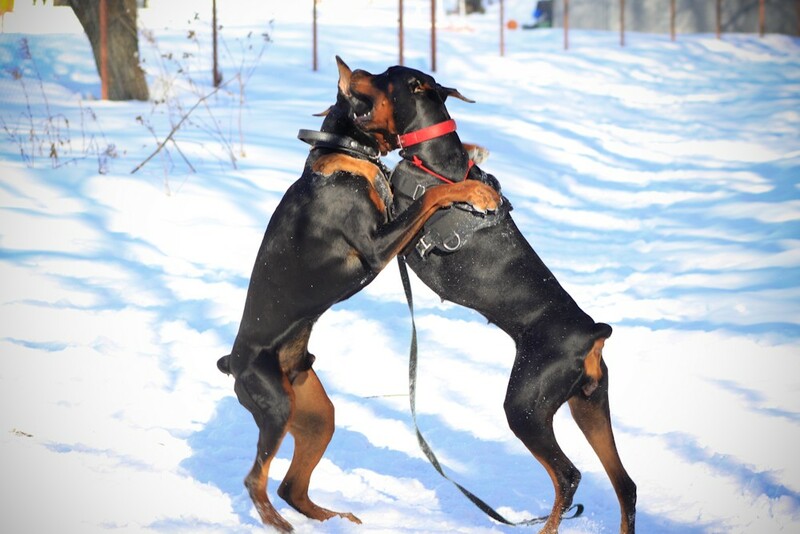 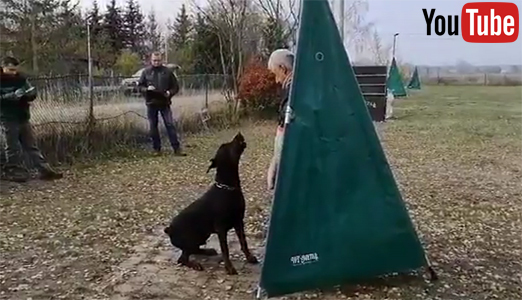 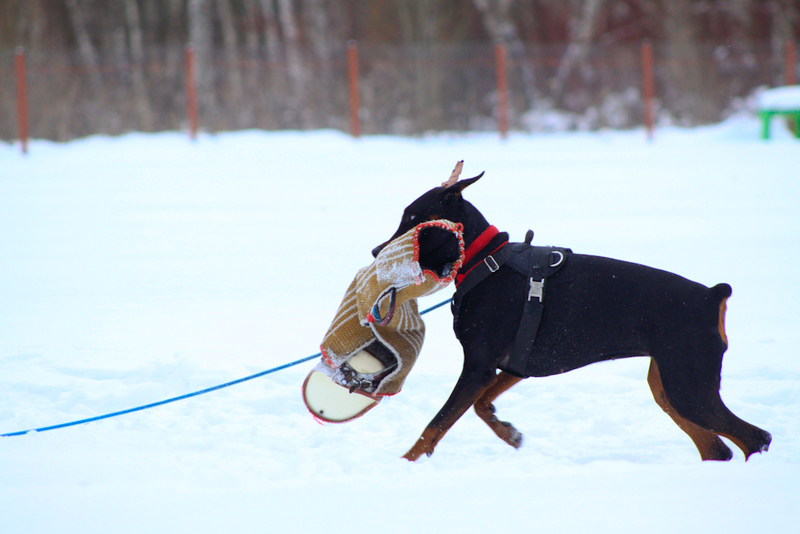 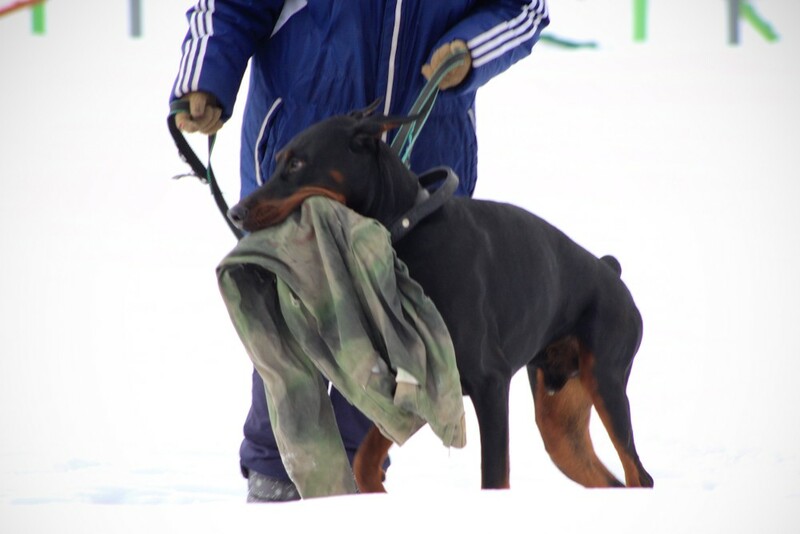 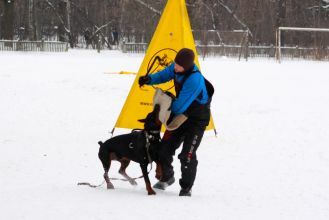 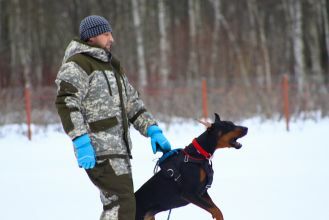 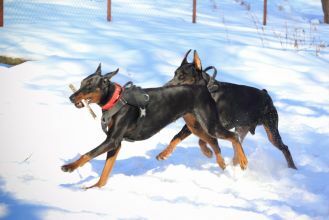 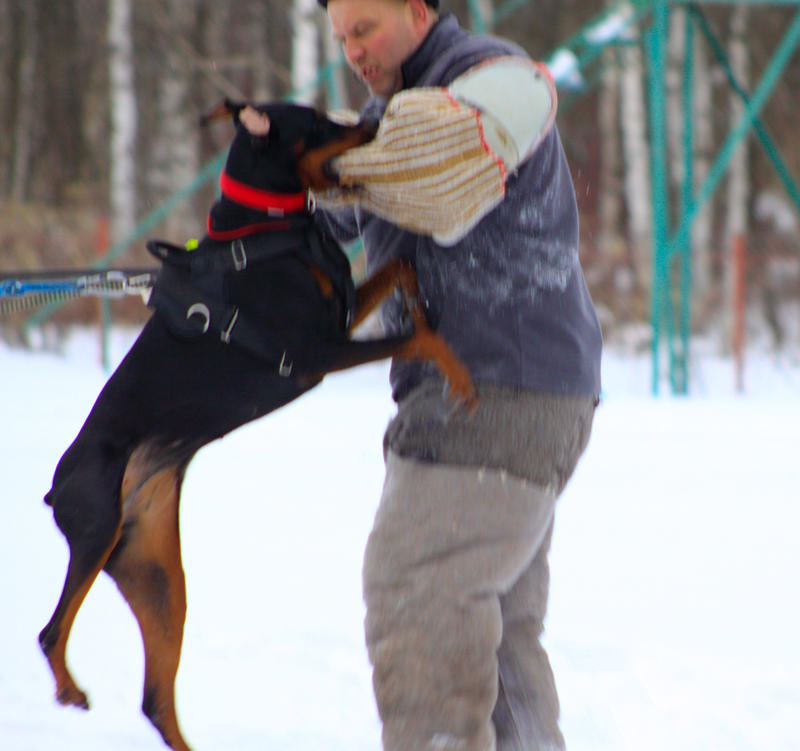 Our dogs in "Chertanovo" training center. Litter "O" - new photos! 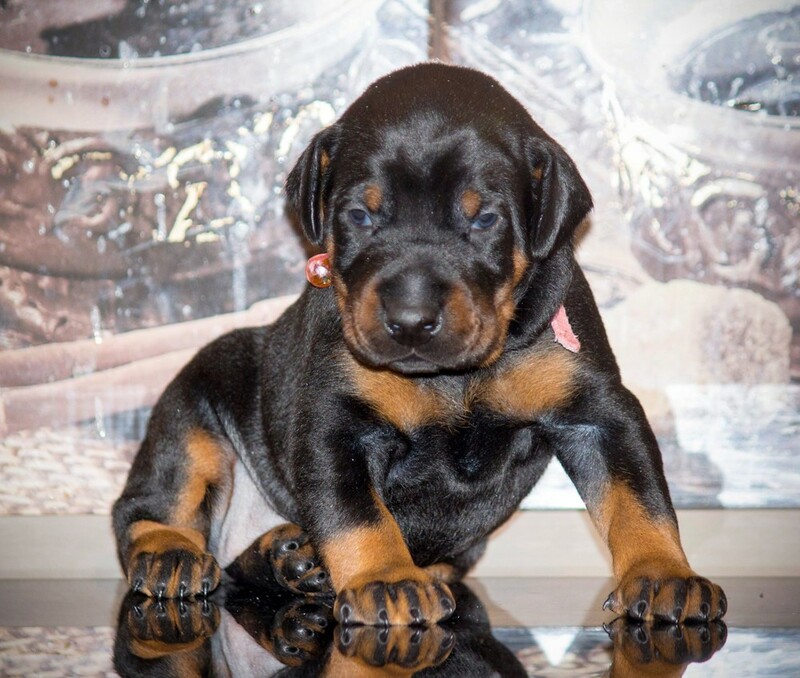 Puppies are 3 weeks. 2 black males are available. Oreto Mia Here Comes the Sun - 1 exc. 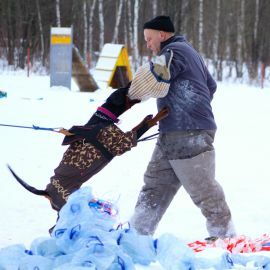 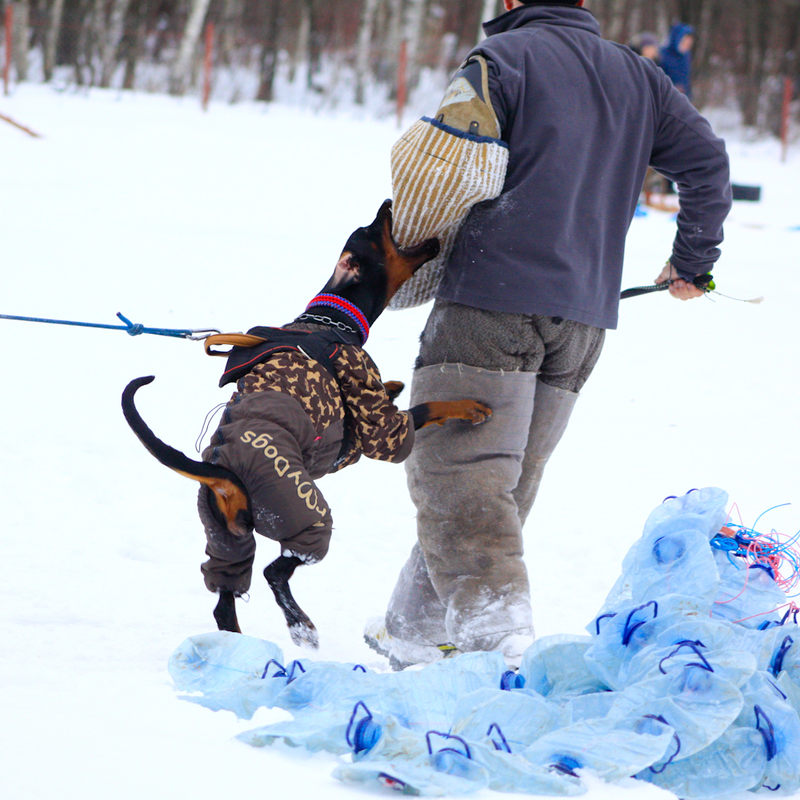 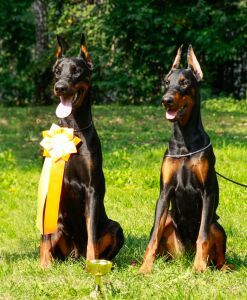 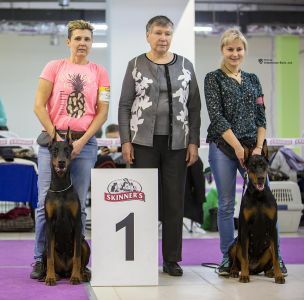 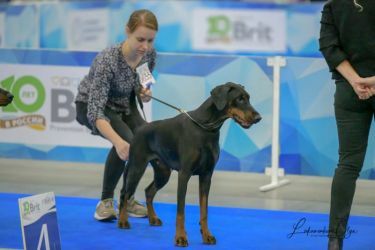 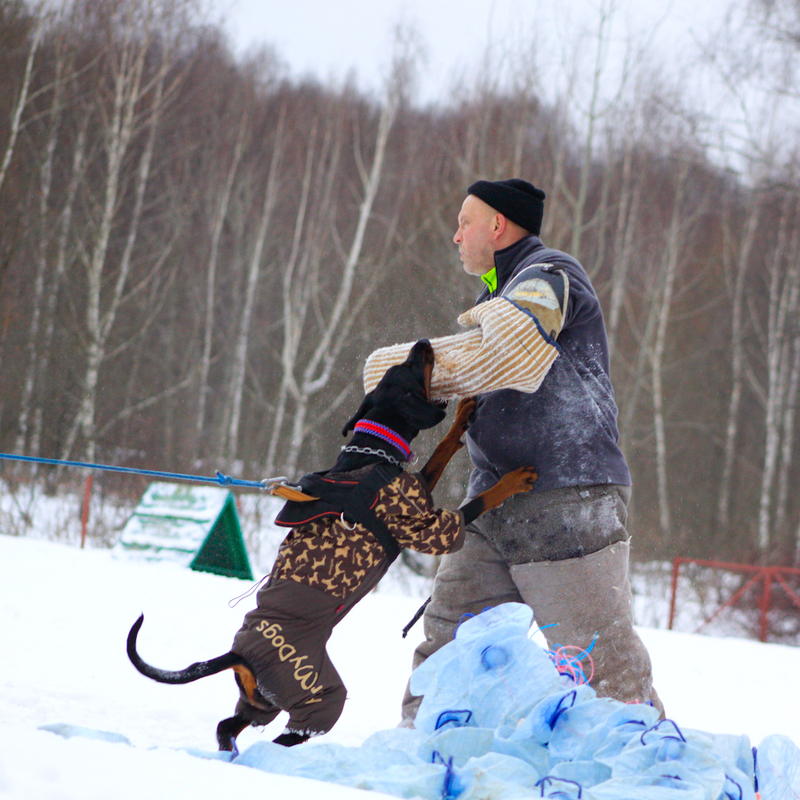 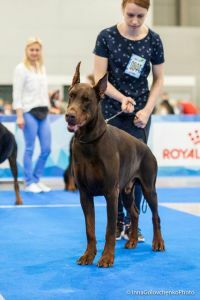 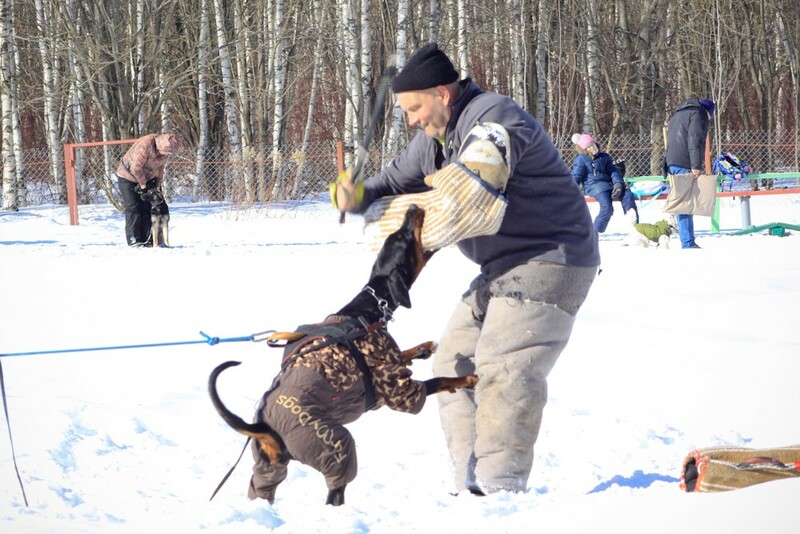 in intermediate class, CAC, BOS - ЧЕМПИОН РОССИИ!!! 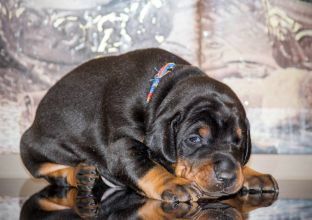 Litter "N" - new photos! Puppies are 25 days. 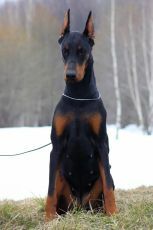 - 1 exc. 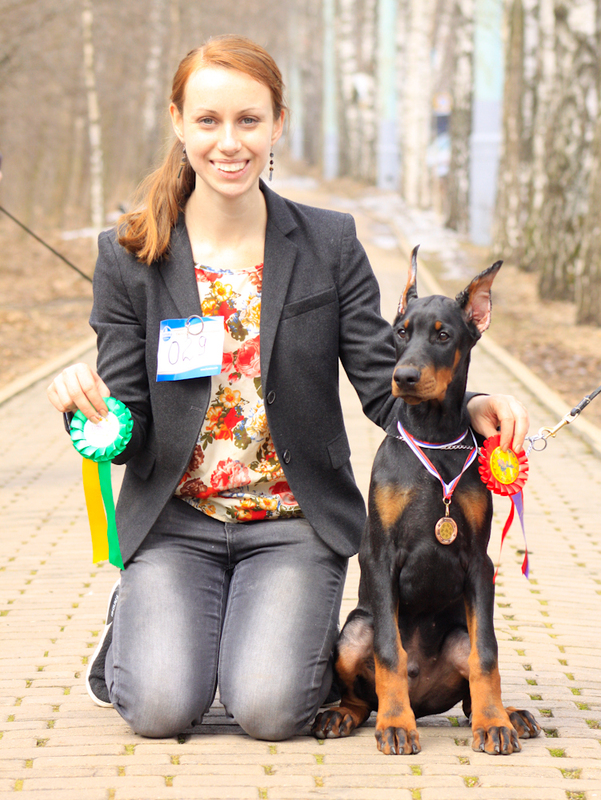 in junior class, 2xJCAC - JUNIOR CHAMPION OF RUSSIA!!! Judges: Brovkina T.I. 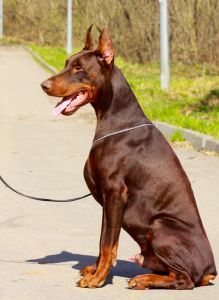 and Chupris T.S. 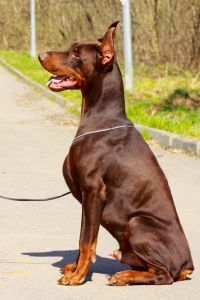 - 1 exc. 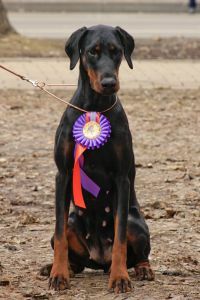 in junior class, JCAC, Best Junior! - 1 exc. 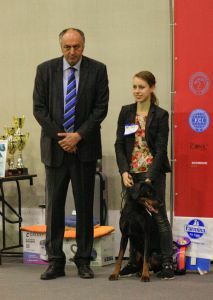 in junior class, JCAC, Best Junior, BOB!!! 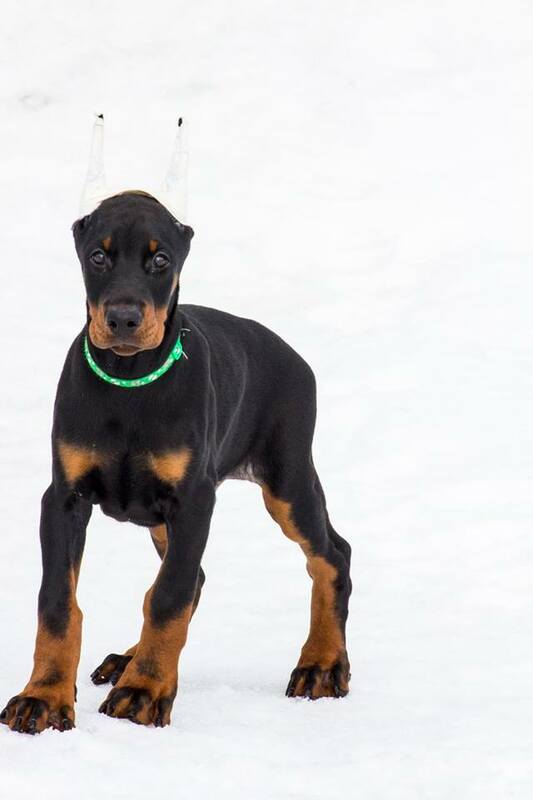 01.12.2018 was born our new "N" litter ! 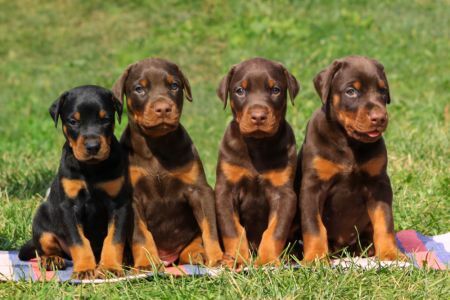 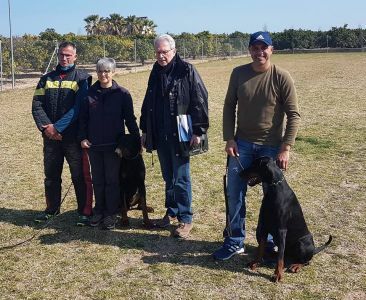 4 black and 3 brown males, 1 brown female. 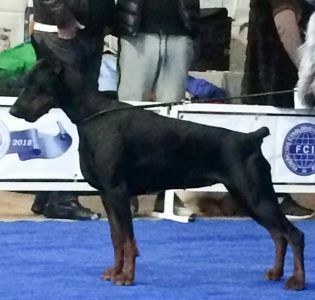 Huge congratulations to Oreto Mia Cronos on passing IPO2!!! Oreto Mia Everyday Magic- 1 exc. 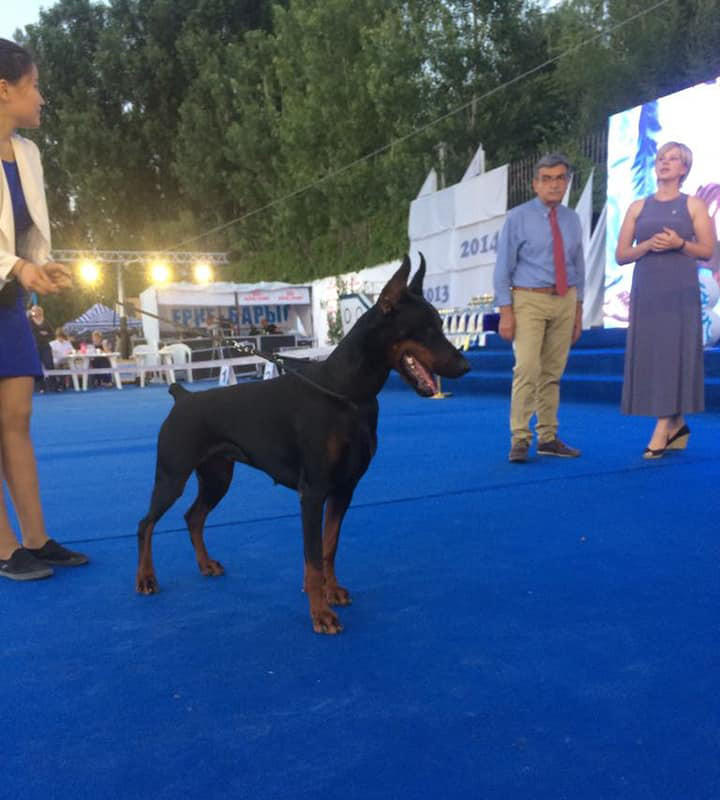 in champion class, CAC, CACIB, BOB!!! International CACIB Show "Шёлковый путь 1 и 2"
Oreto Mia Etoile Noire - 1 exc. CAC, CACIB, BOS and 1 exc. 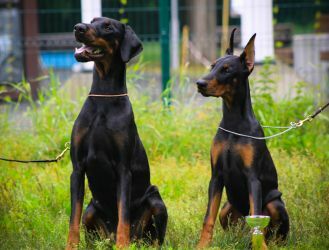 САС, R.CACIB!!! 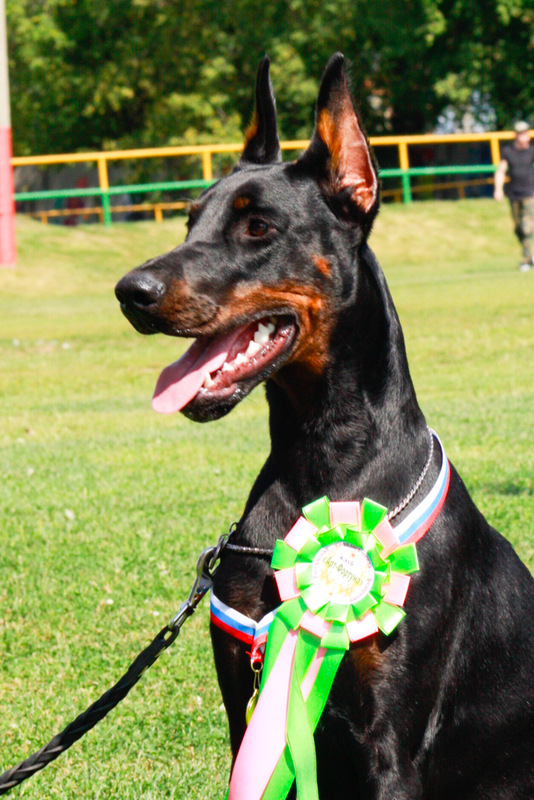 We have new INTERNATIONAL CHAMPON!!! 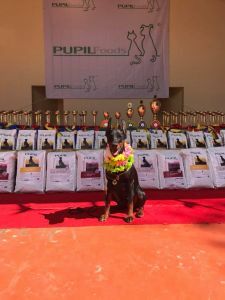 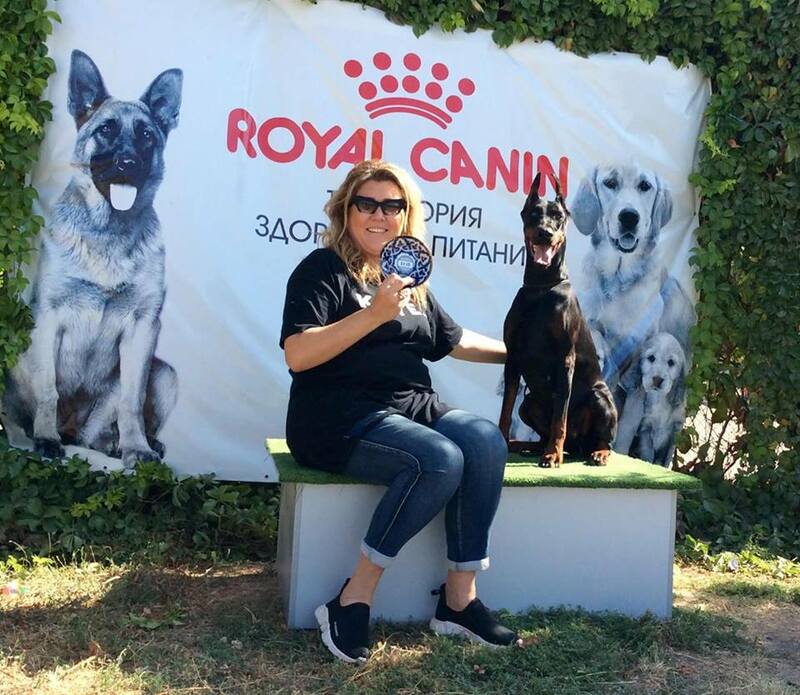 Our big congratulations on 10th CACIB and valuable title!!! 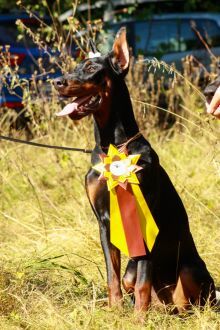 Oreto Mia Here Comes the Sun - 1 exc. 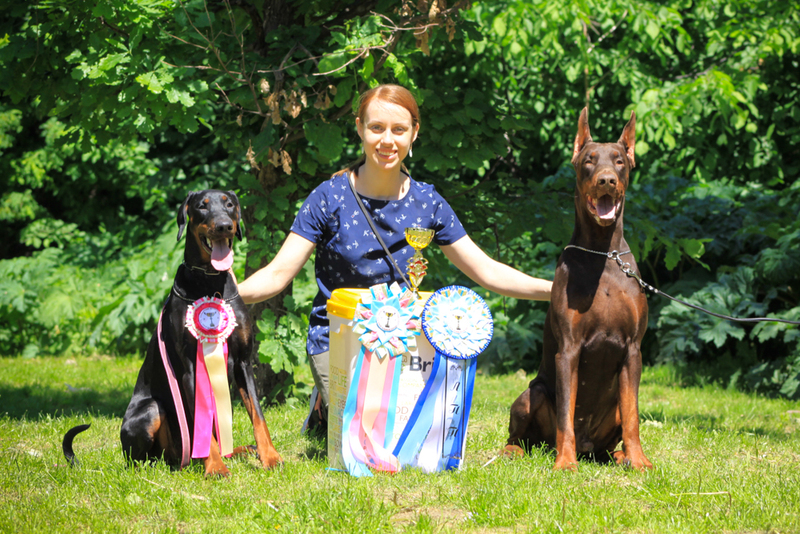 2xCW, 2xCAC, 2xChampion of RFSS!!! 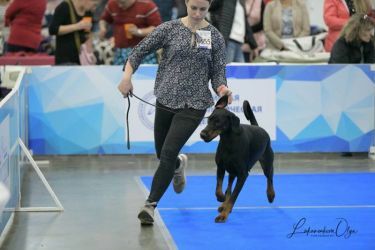 International CACIB Shows "Cubik Ala- Тоо 1 и 2"
Oreto Mia Etoile Noire - 1 exc. 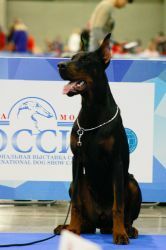 CAC, CACIB, BOB и 1 отл. 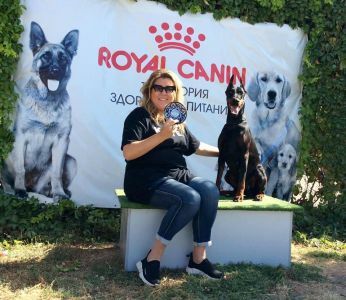 САС, R.CACIB!!! Oreto Mia Etoile Noire - 1 exc., CW, CAC, CACIB, Best of Breed, BIG-2!!! 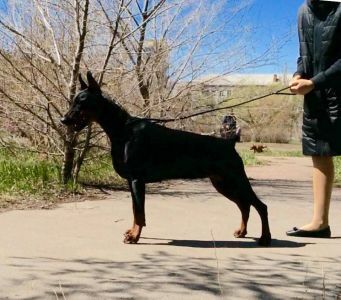 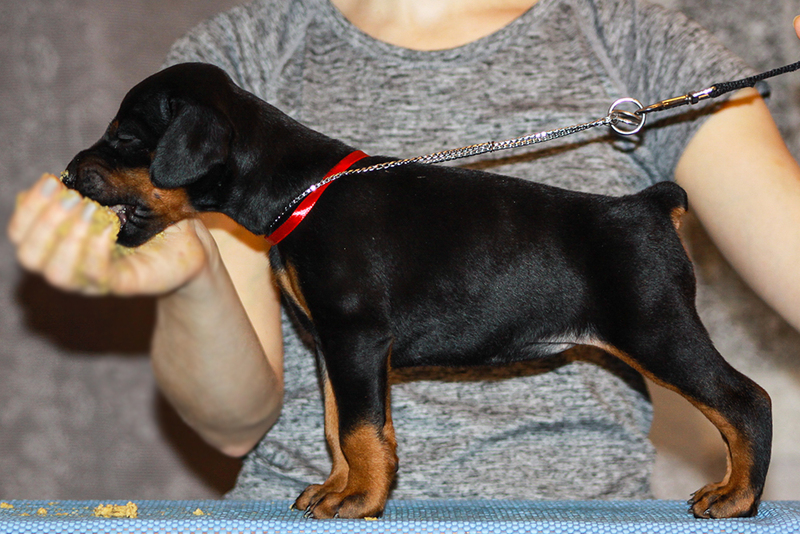 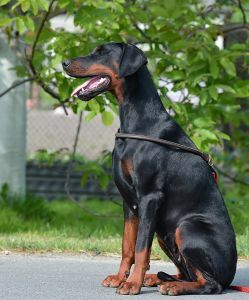 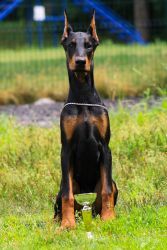 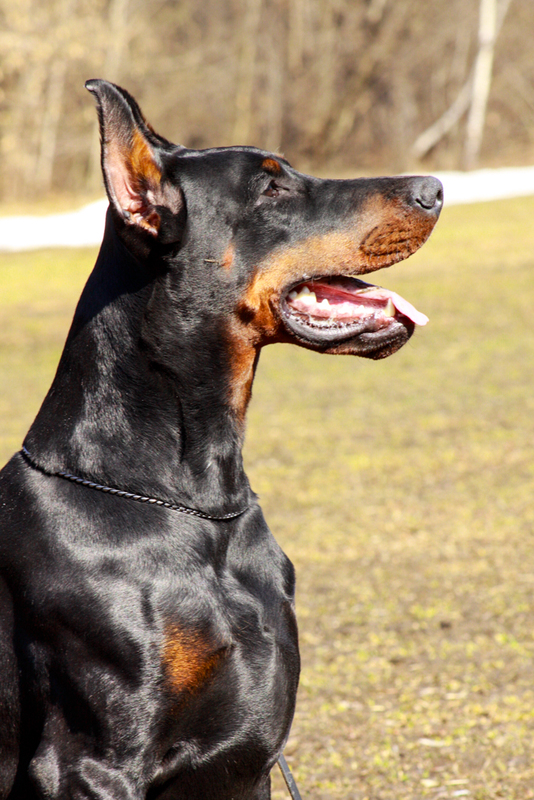 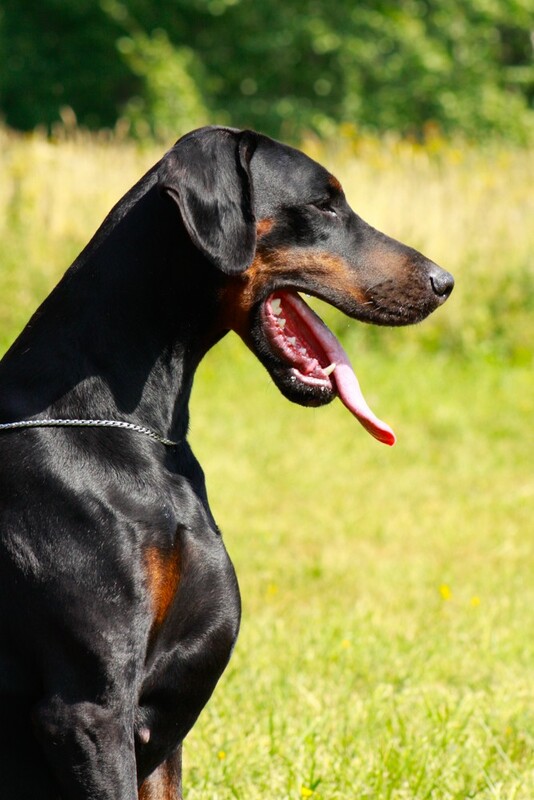 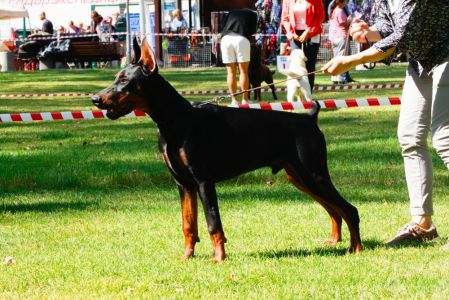 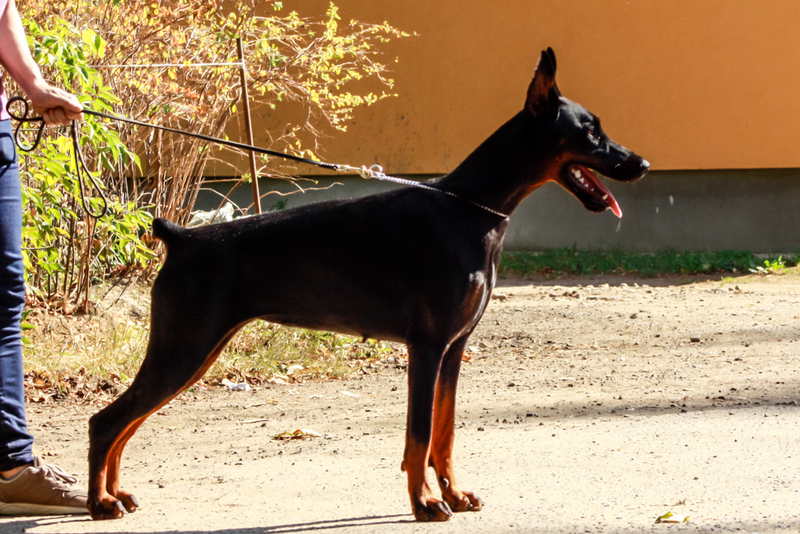 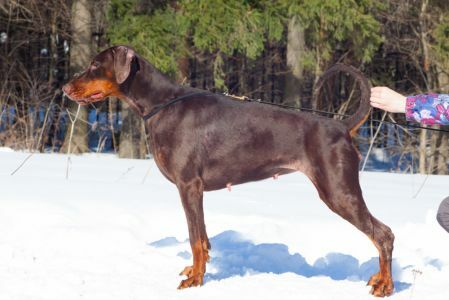 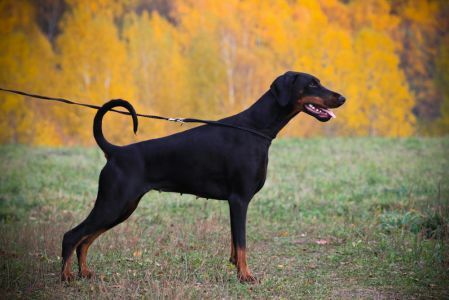 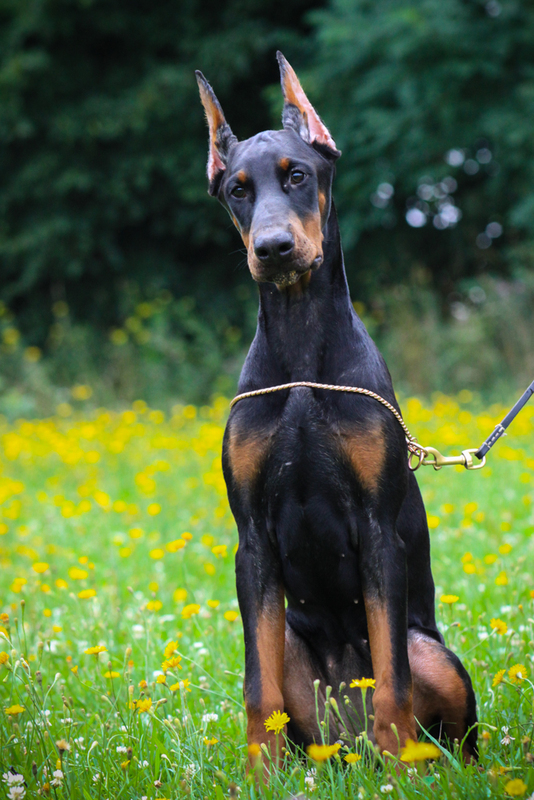 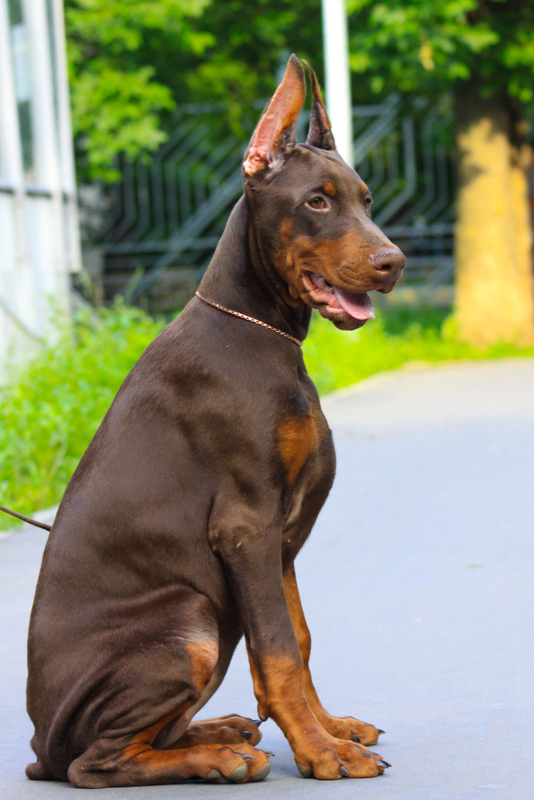 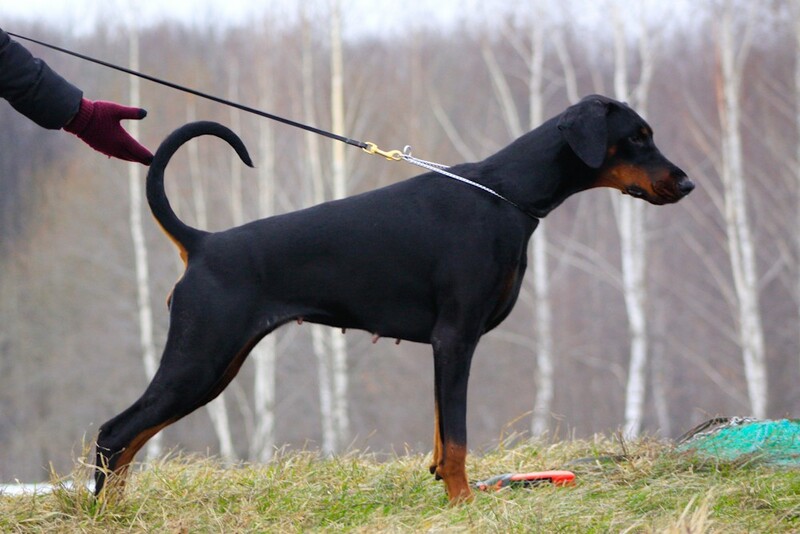 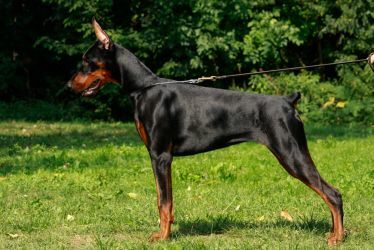 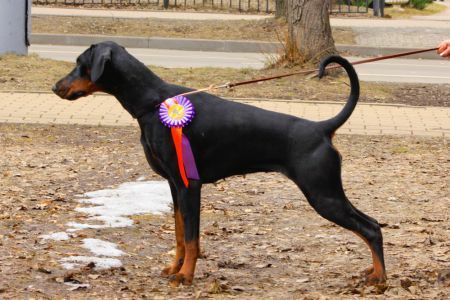 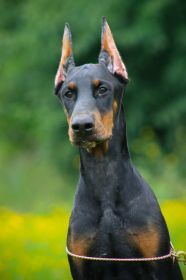 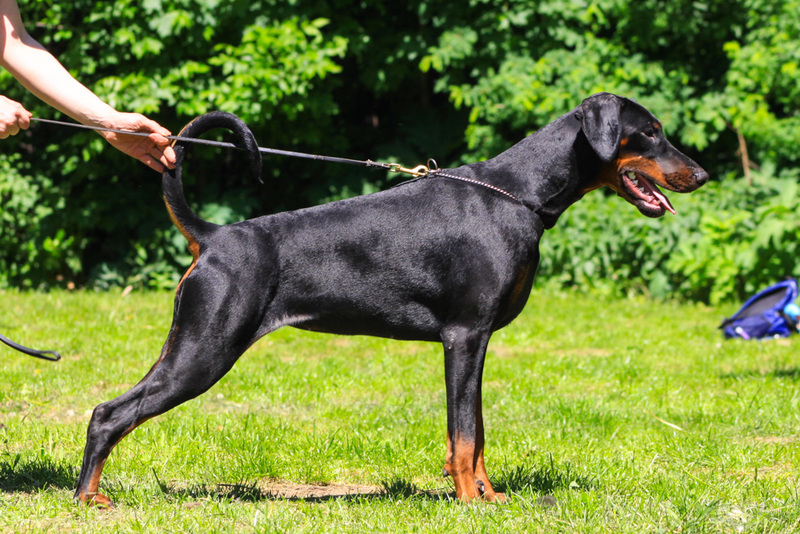 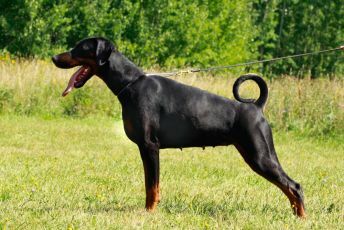 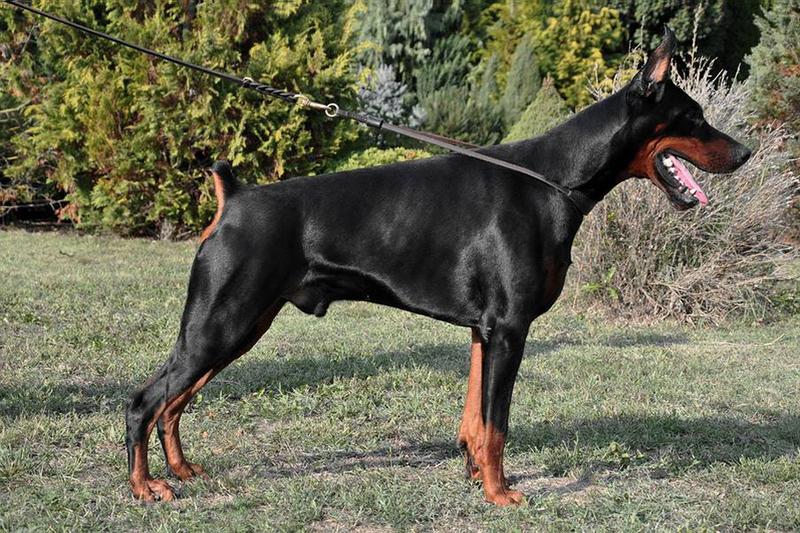 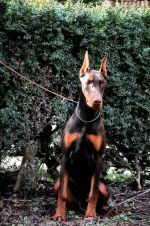 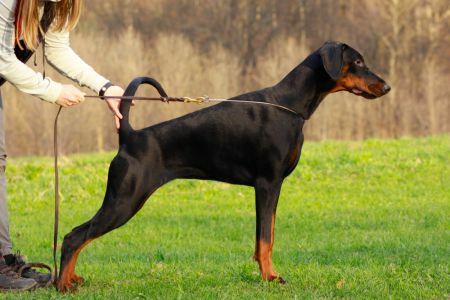 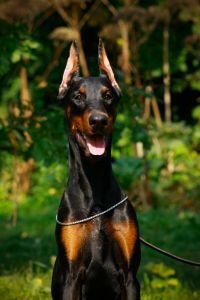 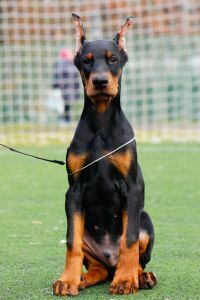 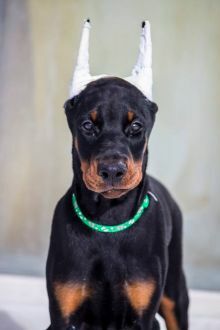 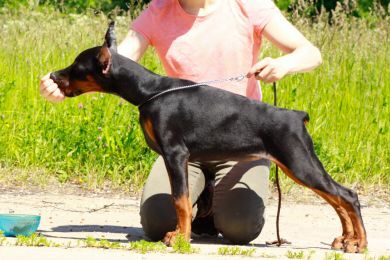 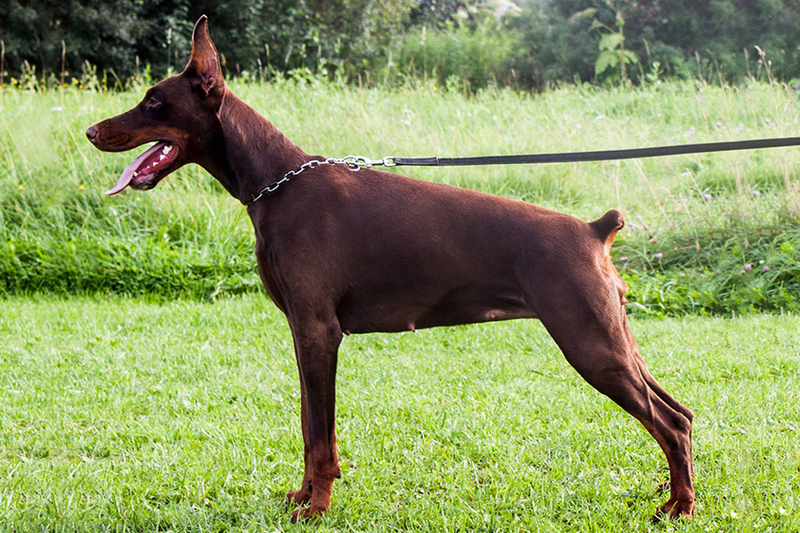 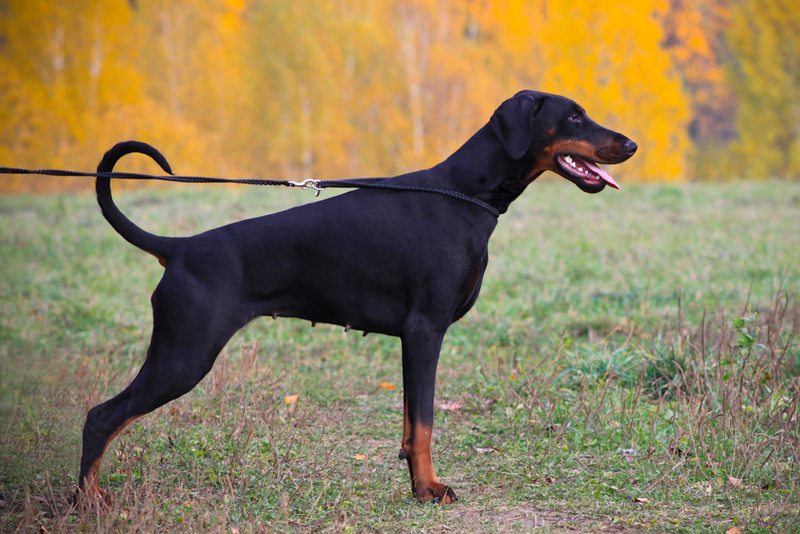 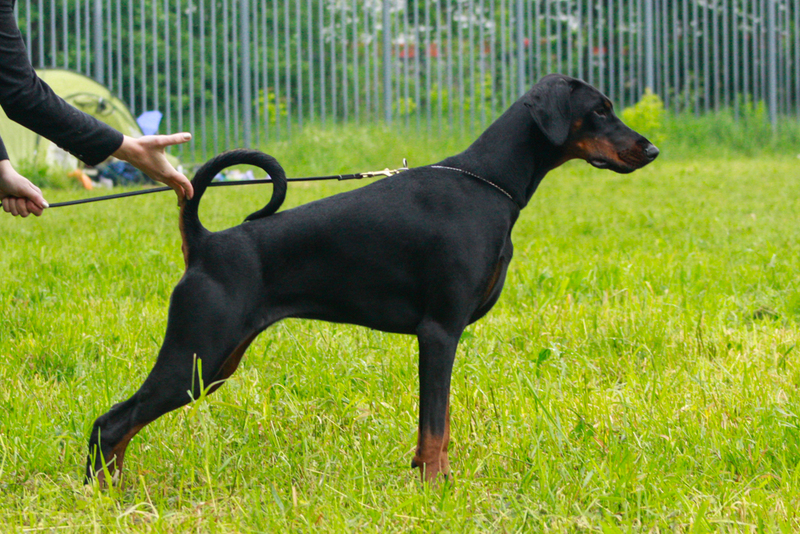 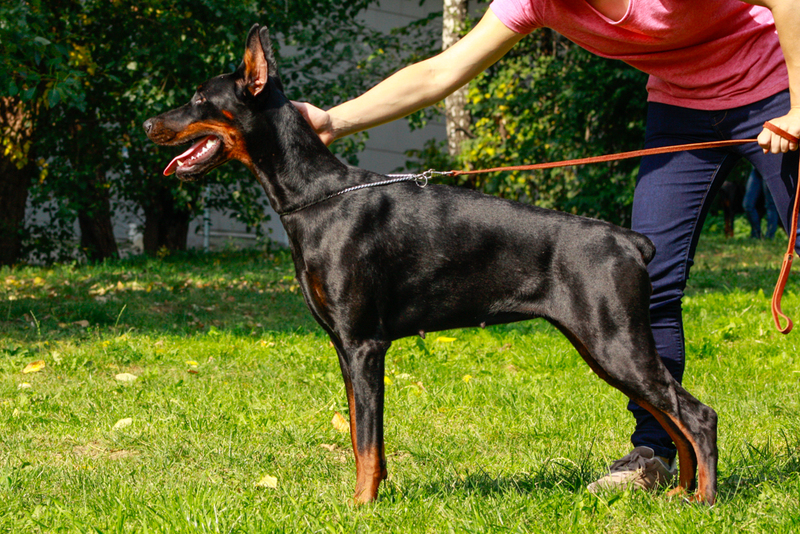 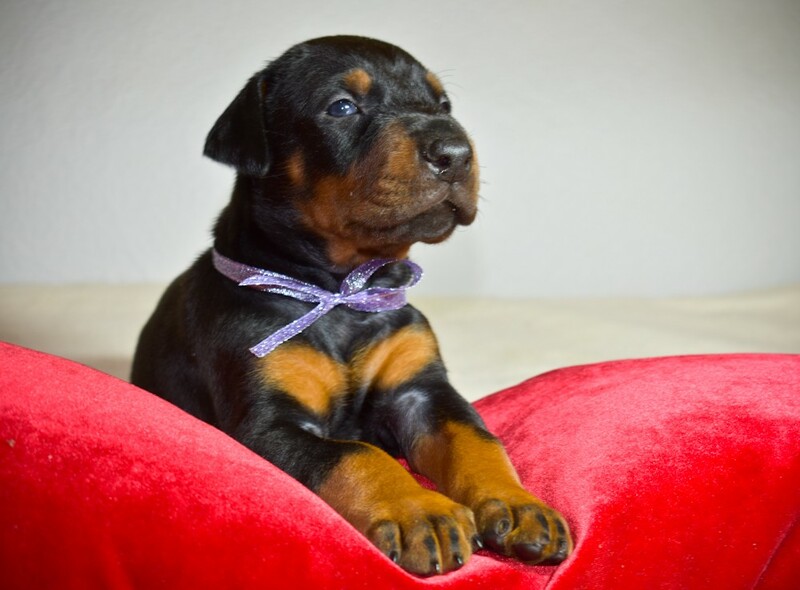 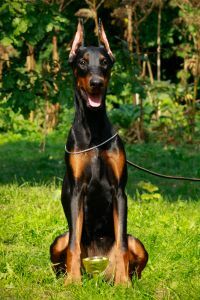 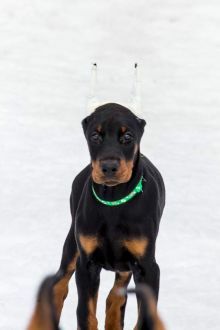 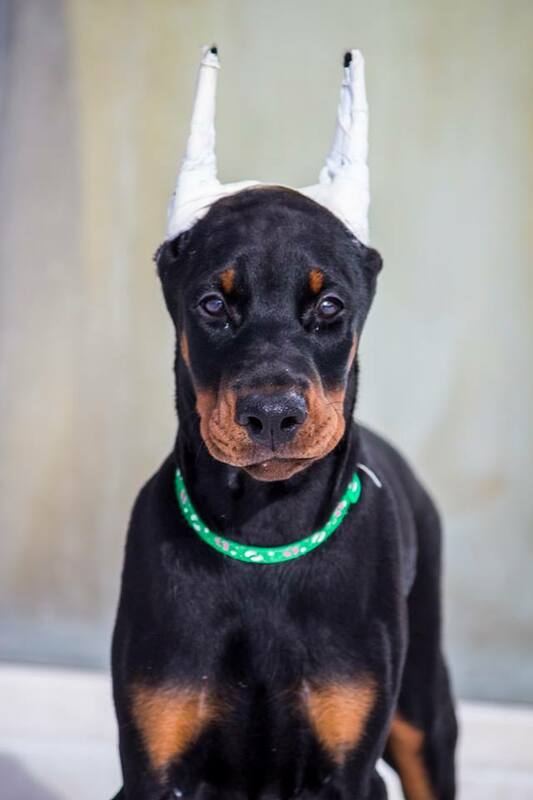 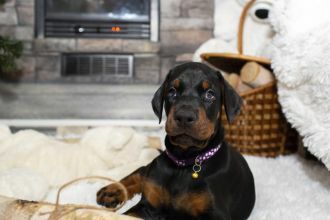 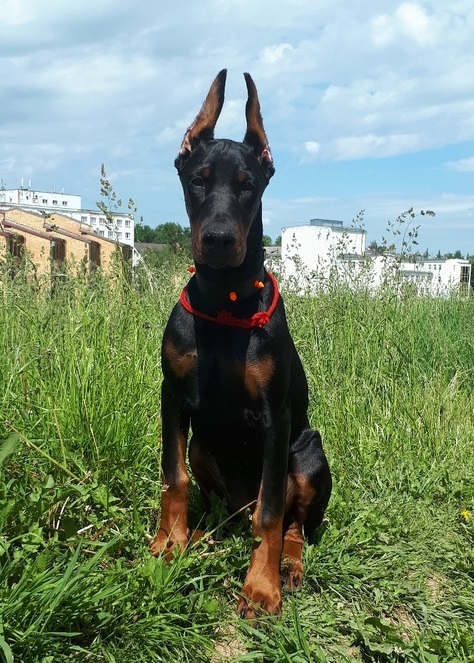 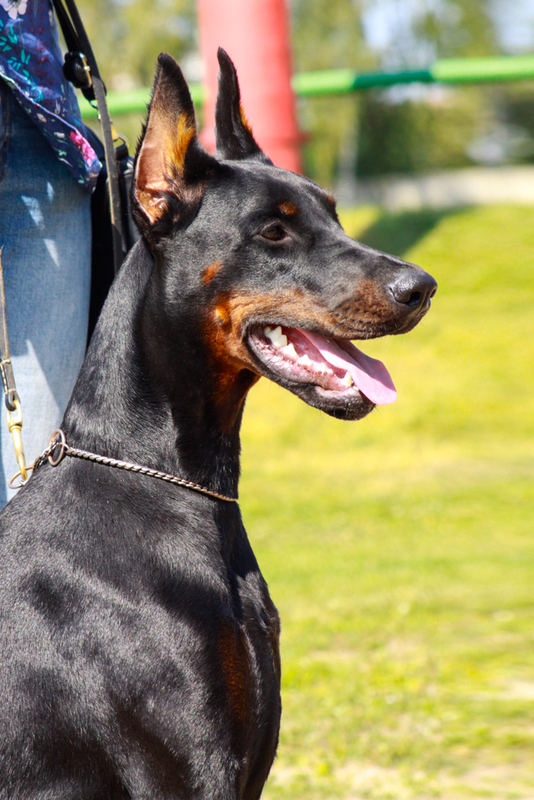 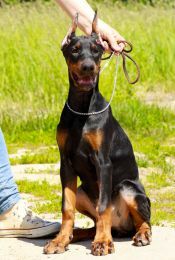 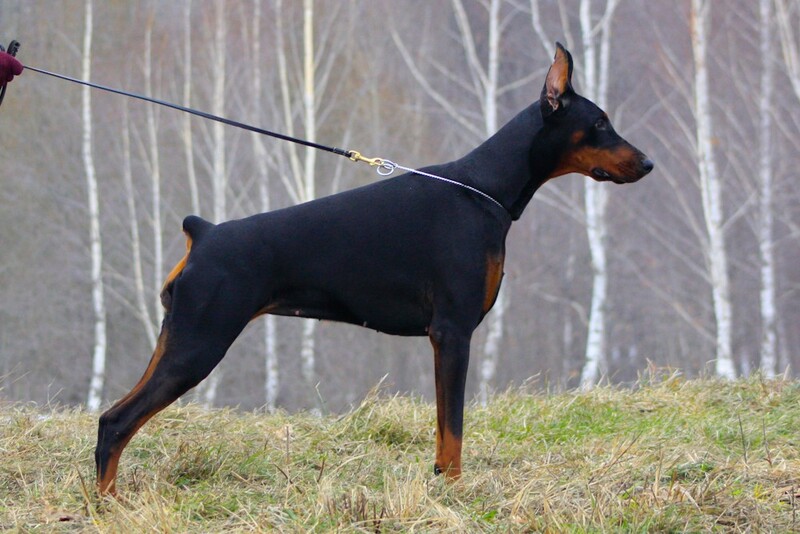 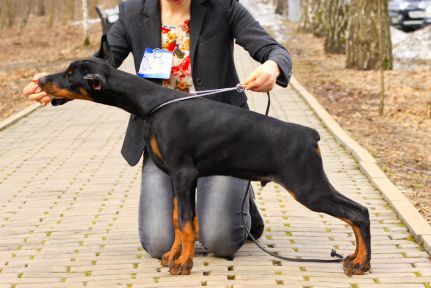 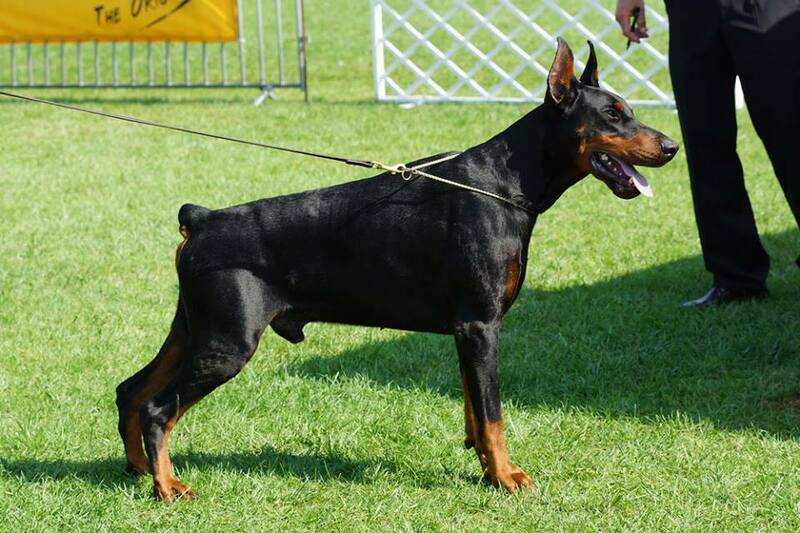 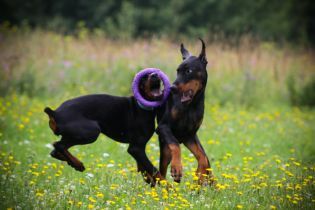 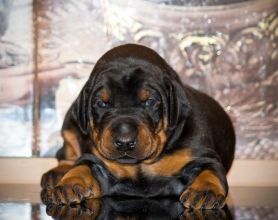 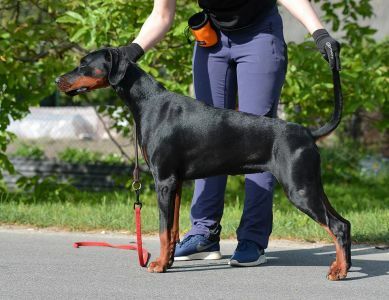 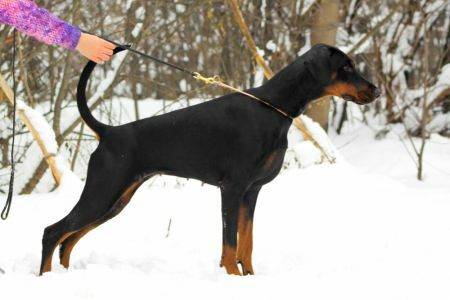 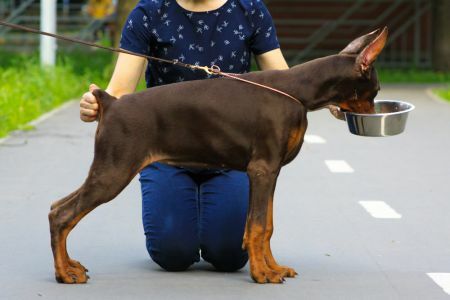 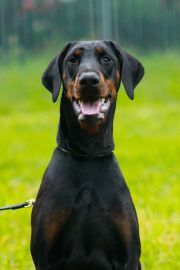 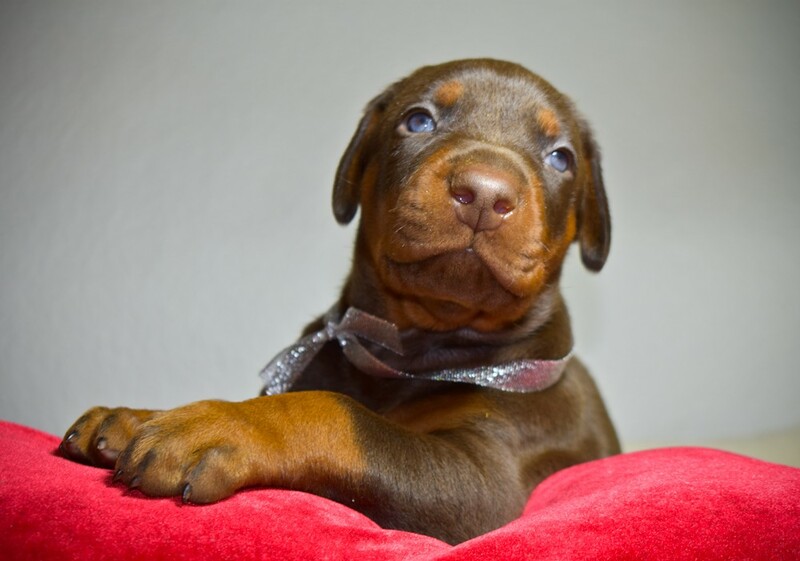 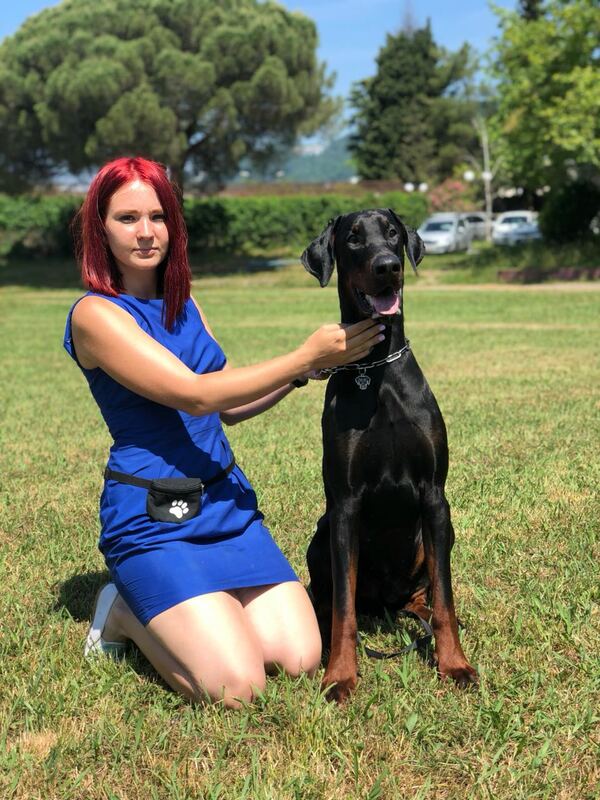 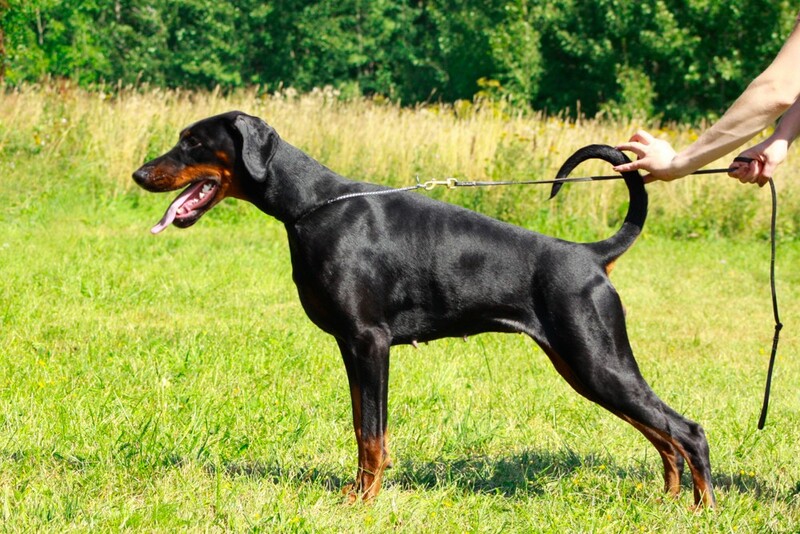 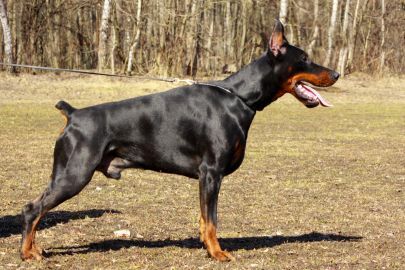 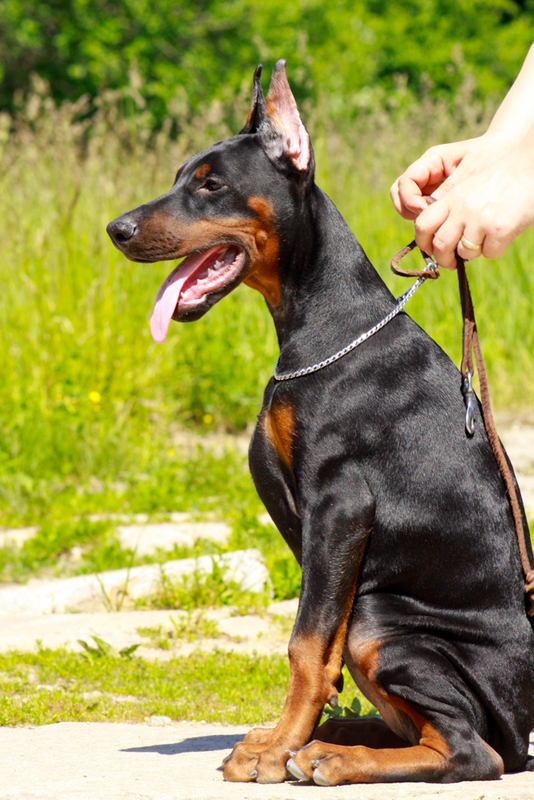 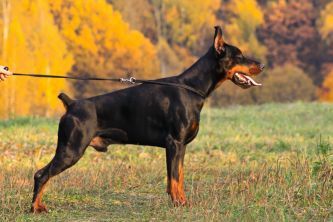 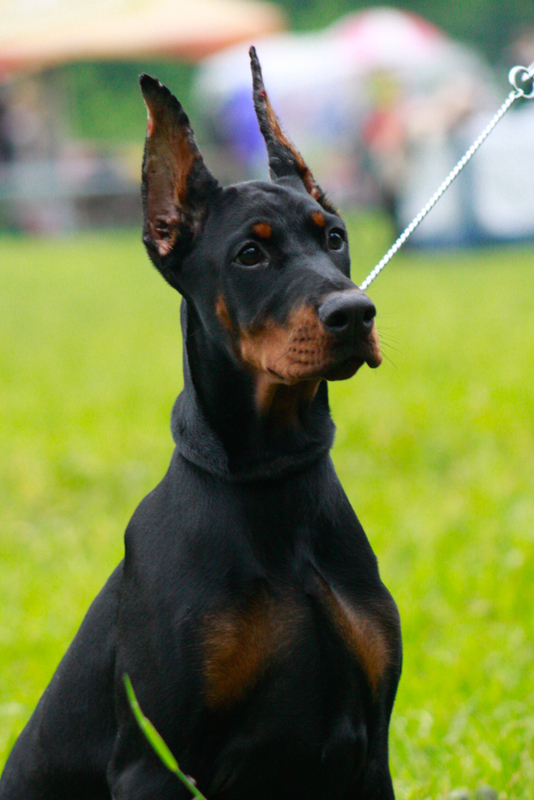 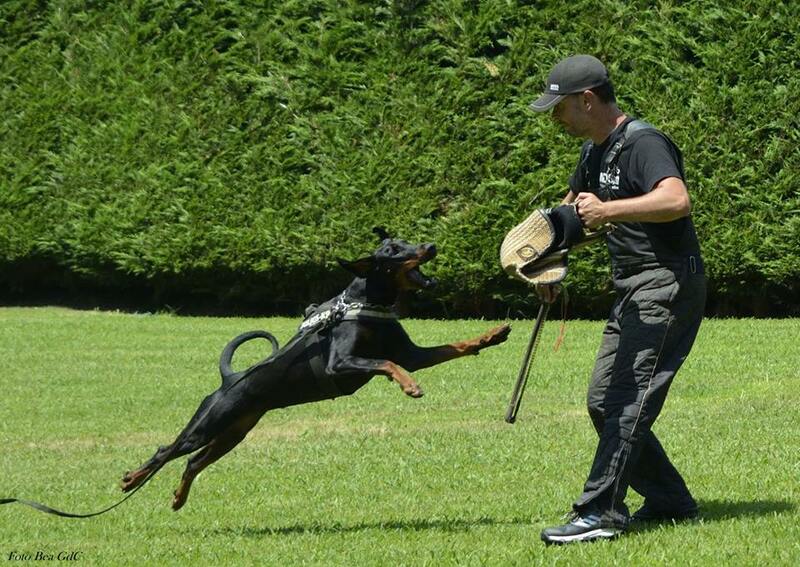 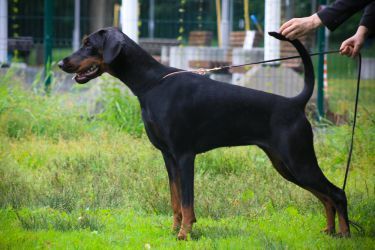 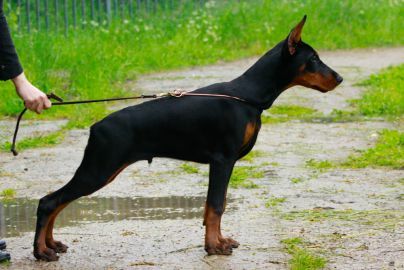 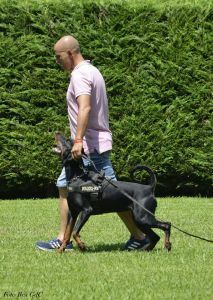 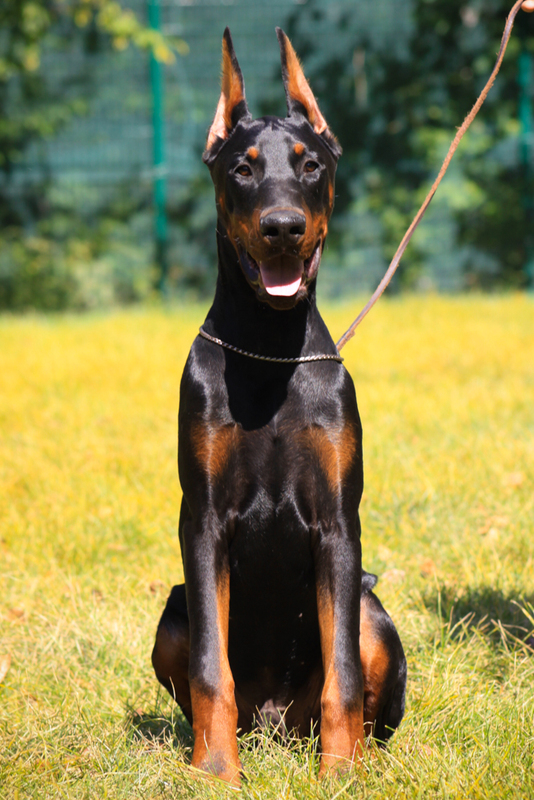 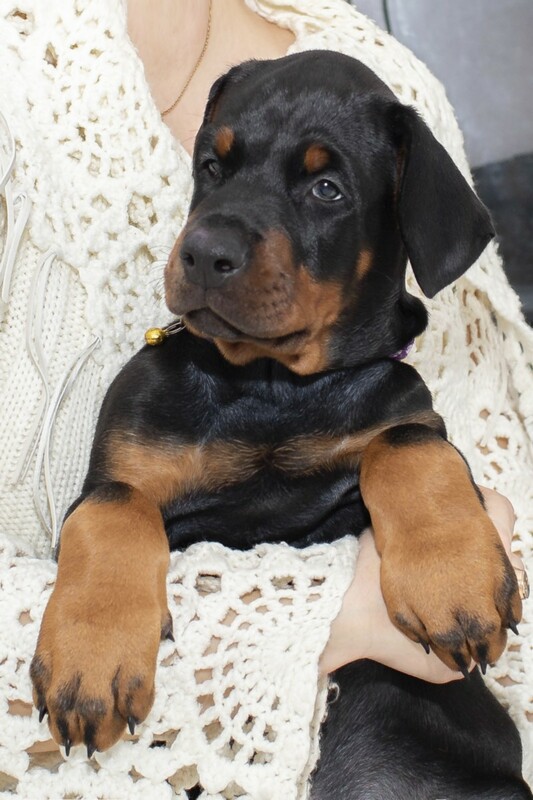 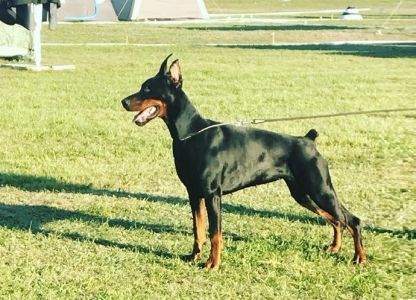 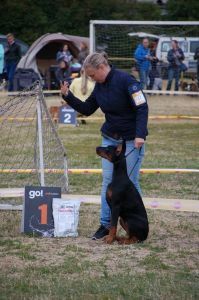 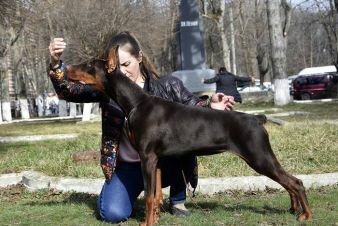 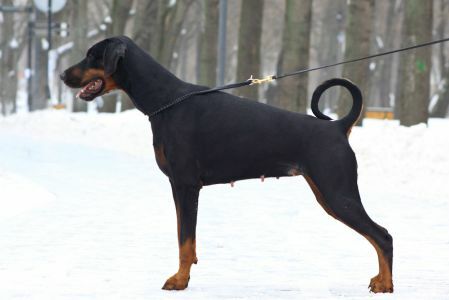 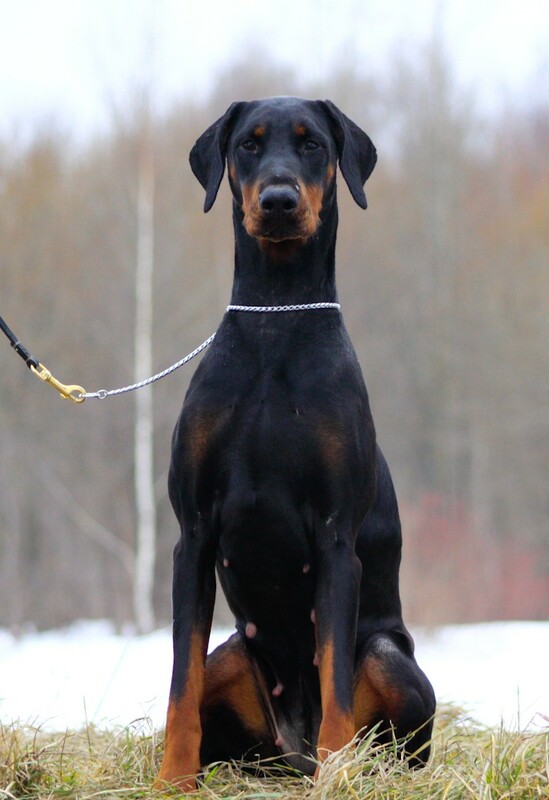 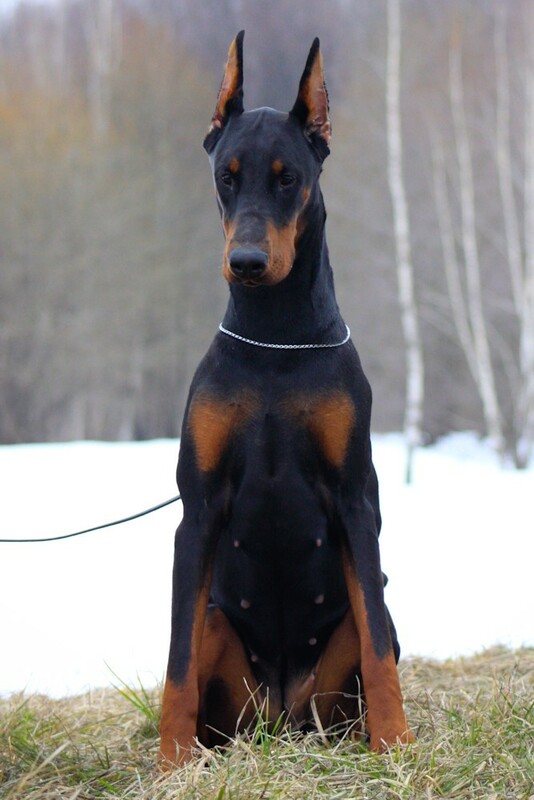 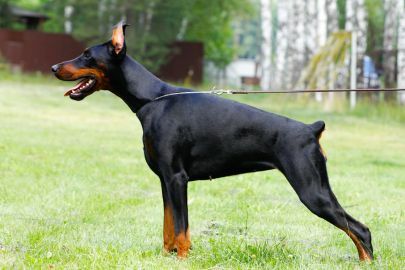 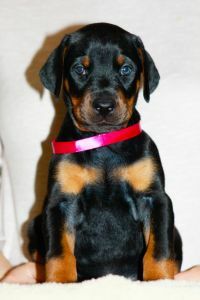 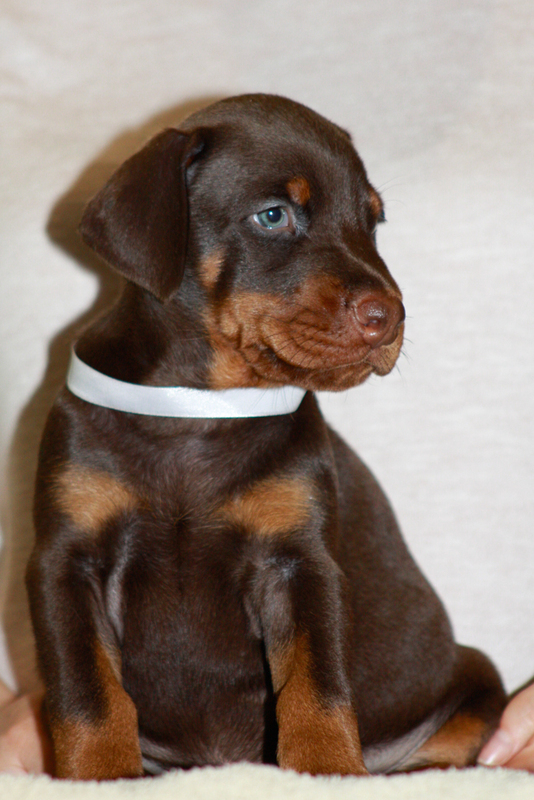 Oreto Mia Etoile Noire - 1 exc., CW, CAC, CACIB, Best of Breed!!! 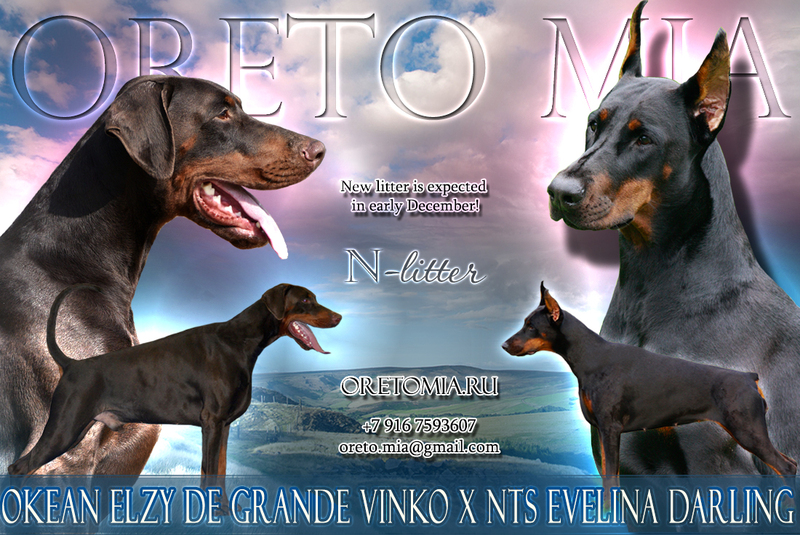 Oreto Mia Etoile Noire - 1 exc., CW, CAC, BOB, BIG-2!!! 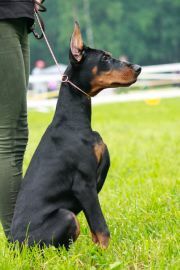 Oreto Mia Haute Couture - 1 exc. 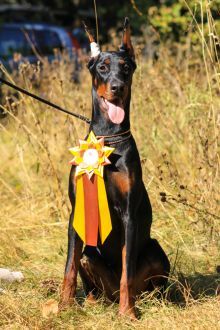 in junior class, JCAC, Best Junior! Oreto Mia Everyday Magic - 1 exc., CW, CAC, CACIB and BOB!!! Oreto Mia Karmen Inora - 1 vp. 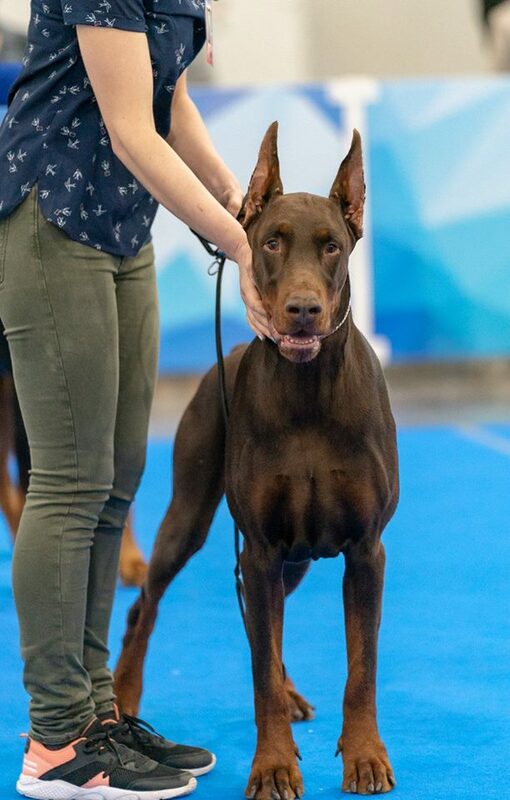 in puppy class, Best Puppy! 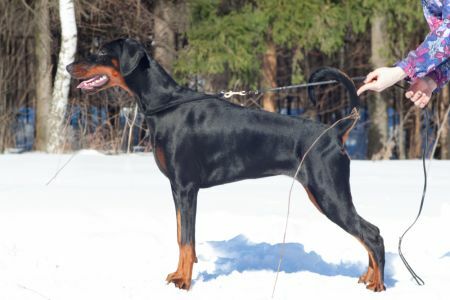 Oreto Mia Haute Couture - 1 exc. 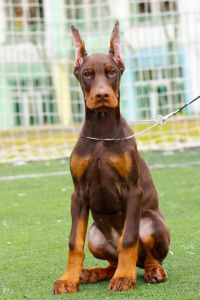 in junior class, JCAC, BOS! Oreto Mia Konrad Kommander - 1 vp. 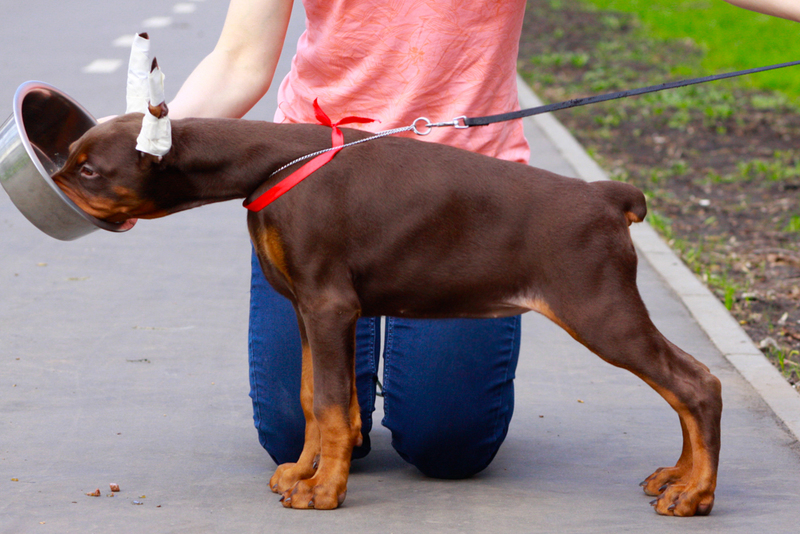 in puppy class, Best Puppy! 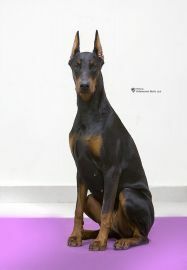 Oreto Mia Etoile Noire - 1 exc., CW, CAC, R.CACIB! 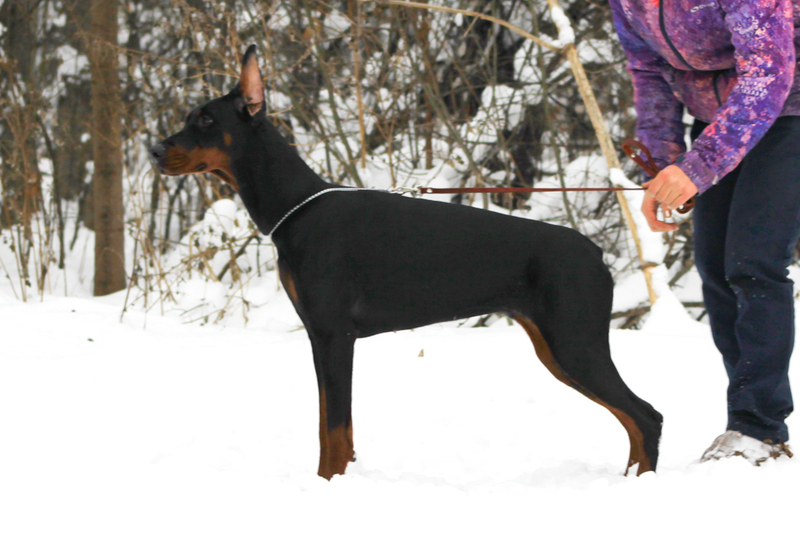 Oreto Mia Haute Couture - 1 exc. 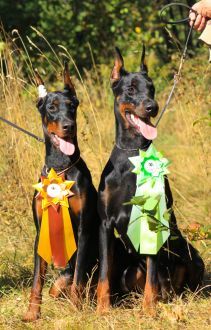 in junior class, JCAC, Best of Breed!!! Oreto Mia Gloria - 1 exc. in open class, САС, BOB! 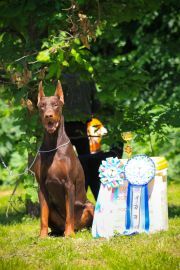 Oreto Mia Let the Party Rock - 1 vp., Best Baby, BEST IN SHOW BABY 2 PLACE!!! 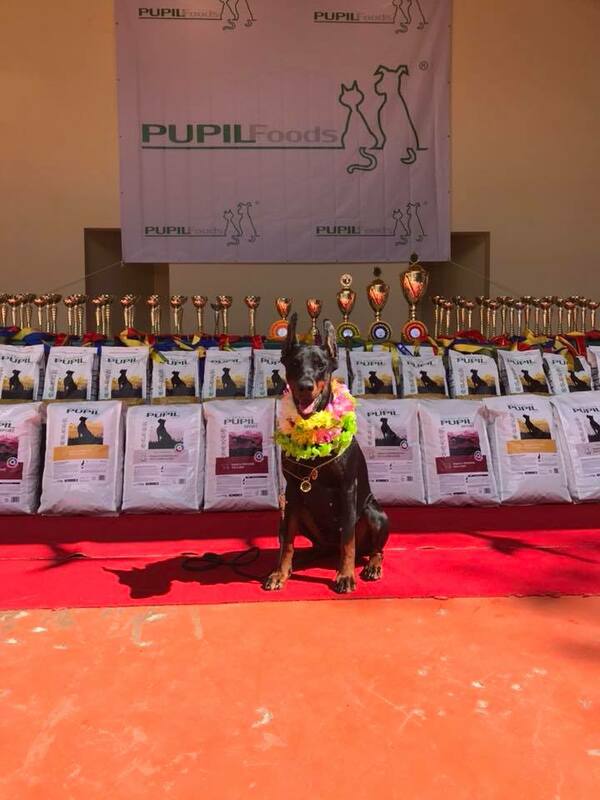 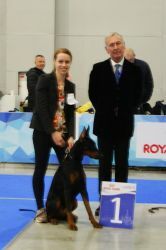 Oreto Mia Let the Party Rock - 1 vp., Best Baby, BEST IN SHOW BABY 1 PLACE!!! New photos and album of puppies, litter "L". 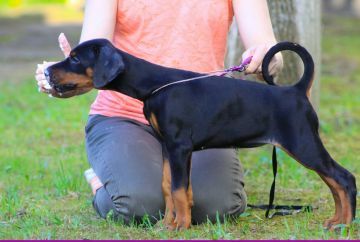 One lovely black female is available! 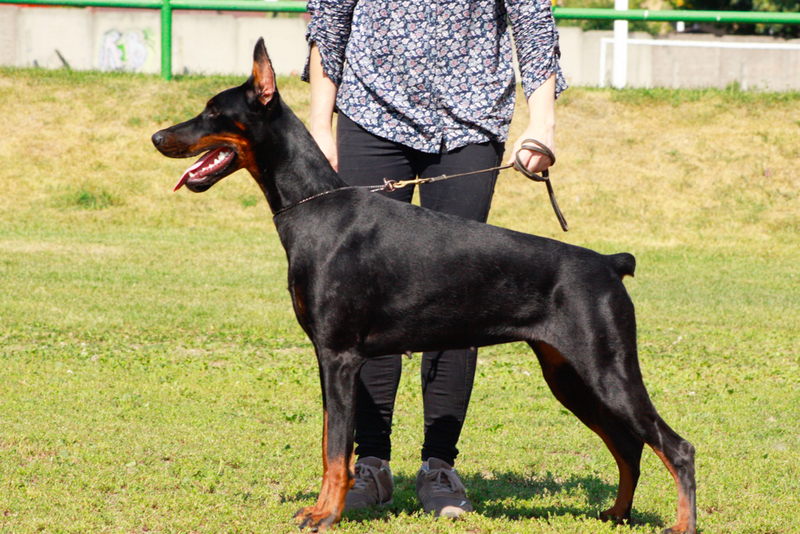 Oreto Mia Karmen Inora - 1 vp. 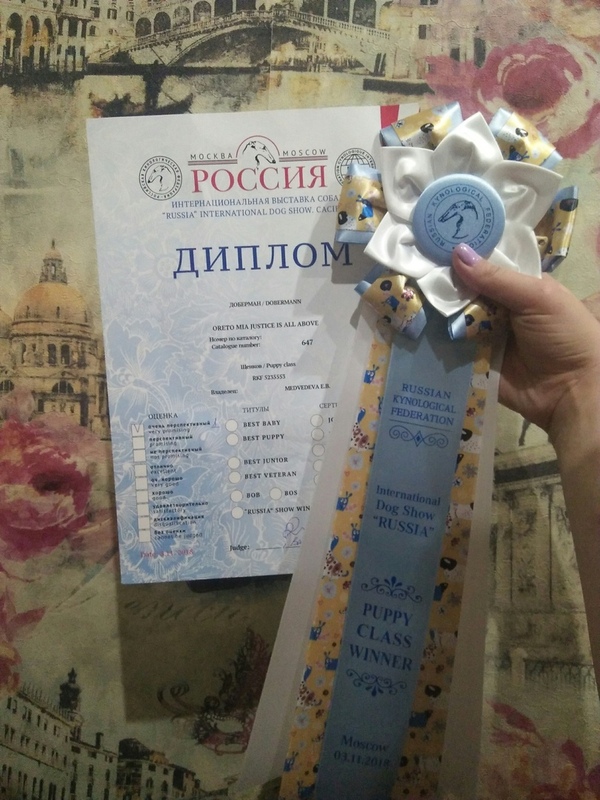 in baby class, Best Baby! Oreto Mia Here Comes the Sun - 1 exc. in junior class, JCAC, Best Junior! 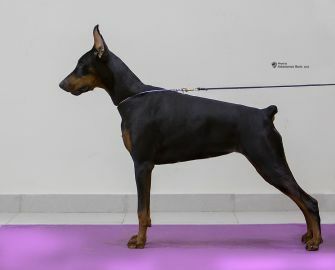 Oreto Mia Jasmine - 1 vp. 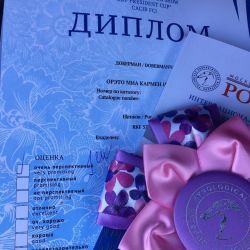 in baby class, Best Baby!!! Oreto Mia Justice Is All Above - 1 vp. in baby class, BOB baby!!! 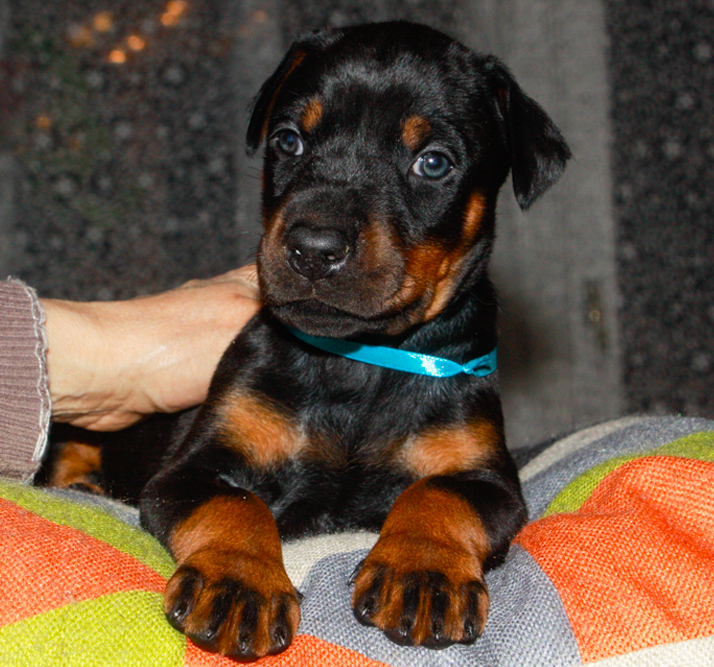 Oreto Mia Jameson Jagger - 1 vp. 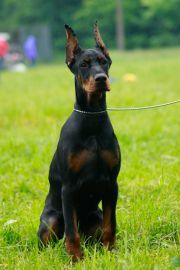 in baby class, BOS baby! Oreto Mia Here Comes the Sun - 1 exc. 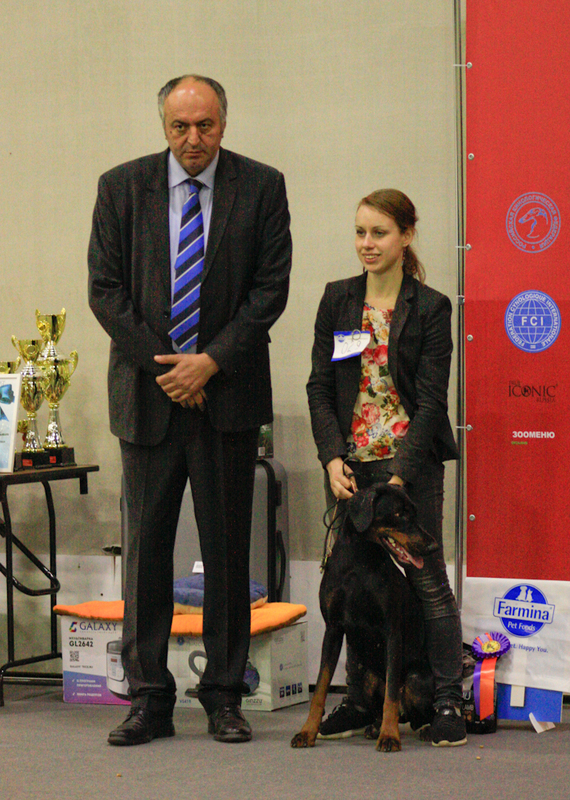 in Junior Class, JCCC! 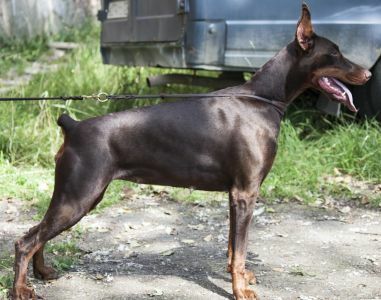 Oreto Mia Galahad - 1 exc. 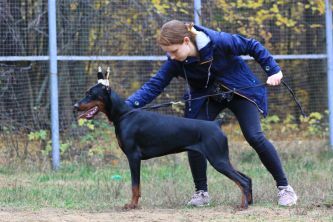 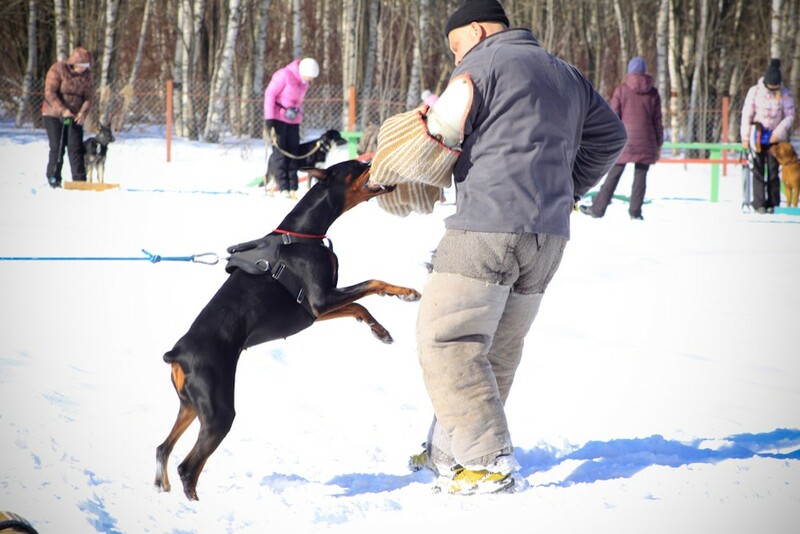 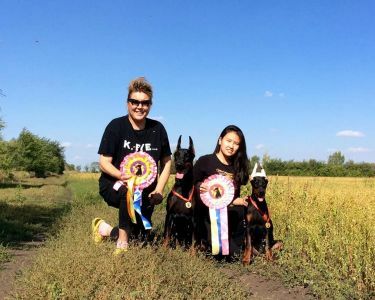 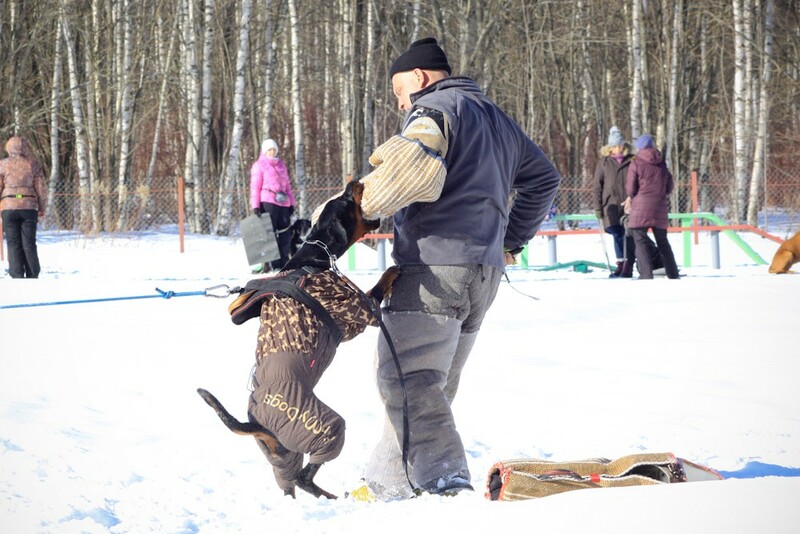 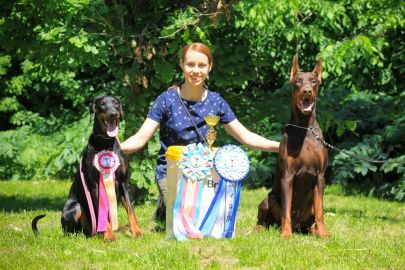 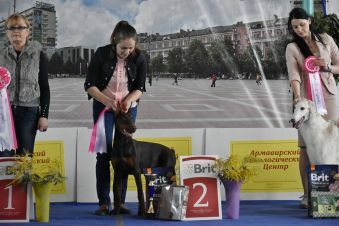 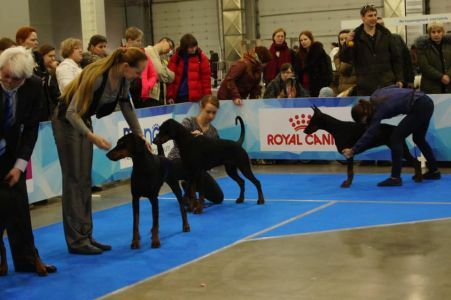 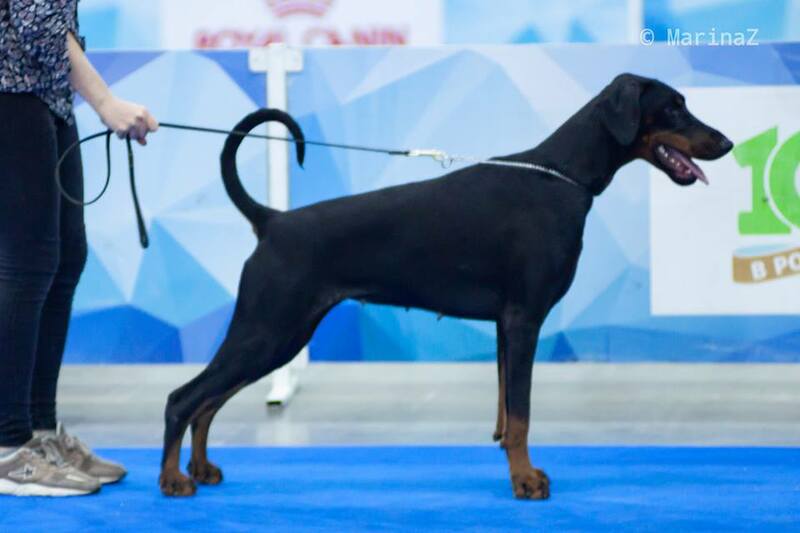 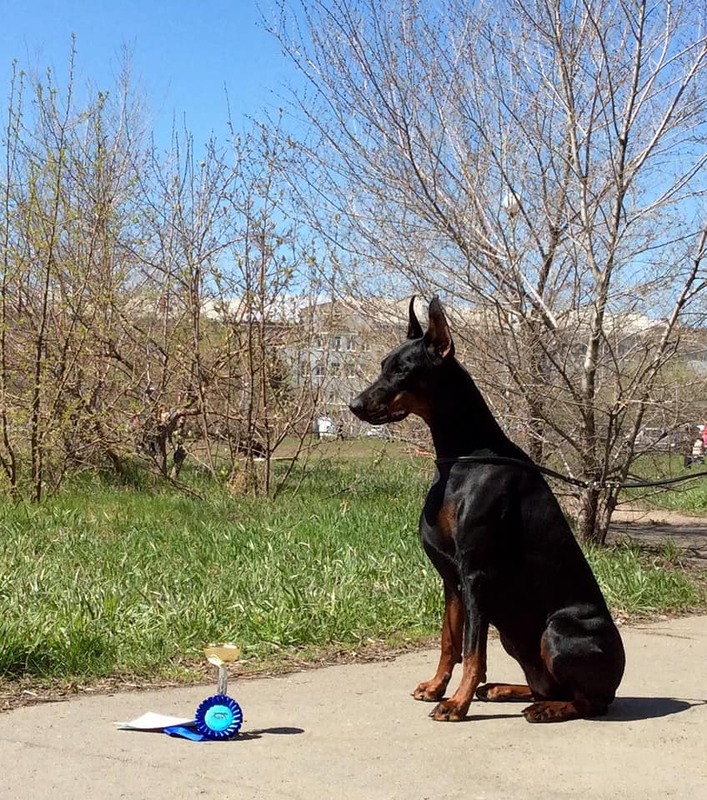 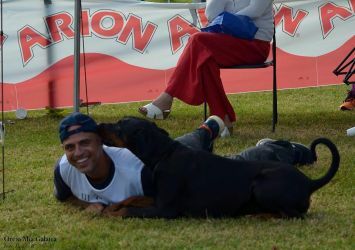 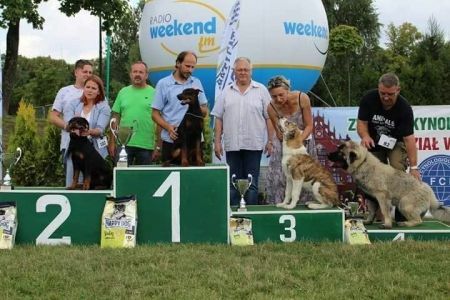 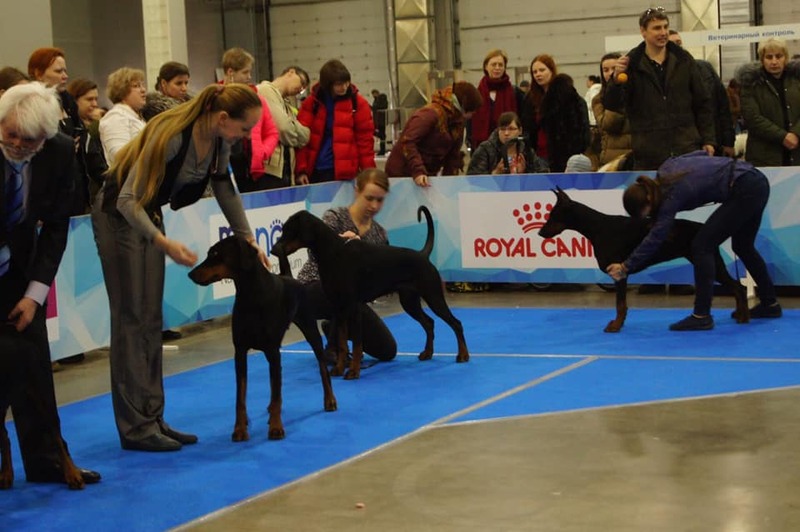 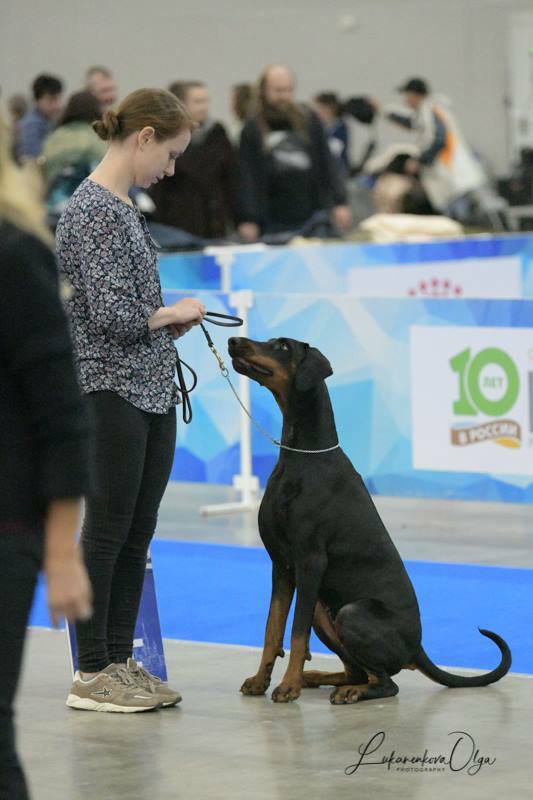 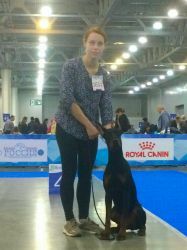 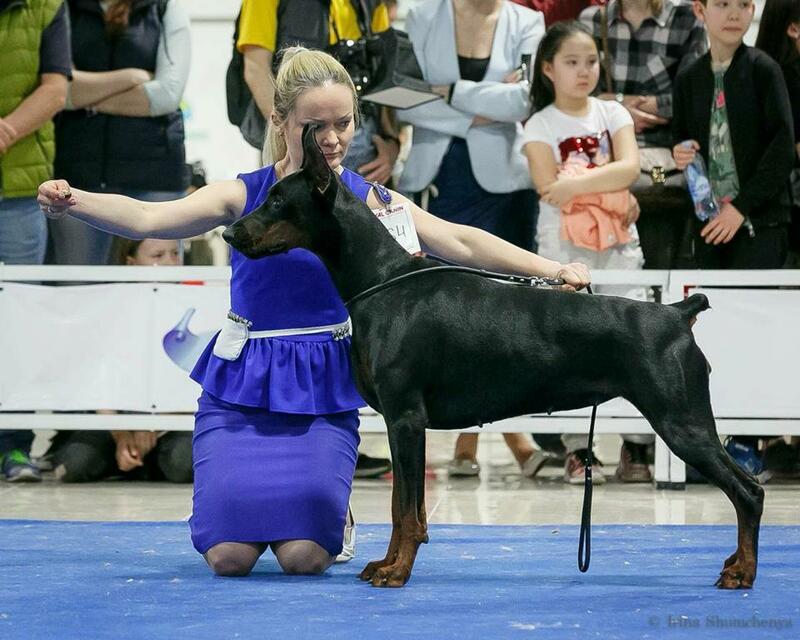 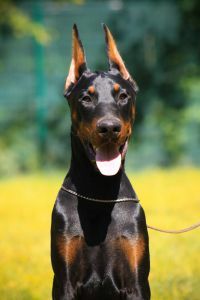 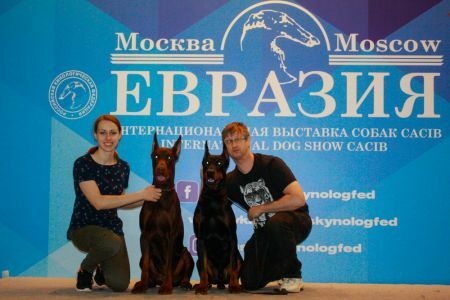 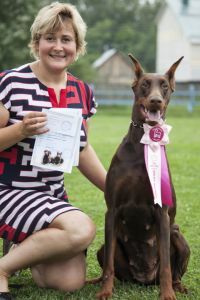 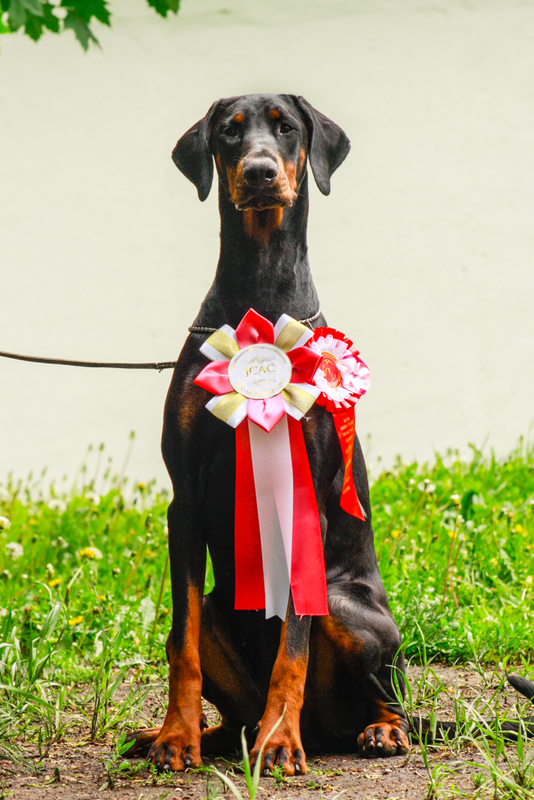 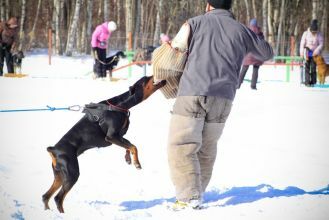 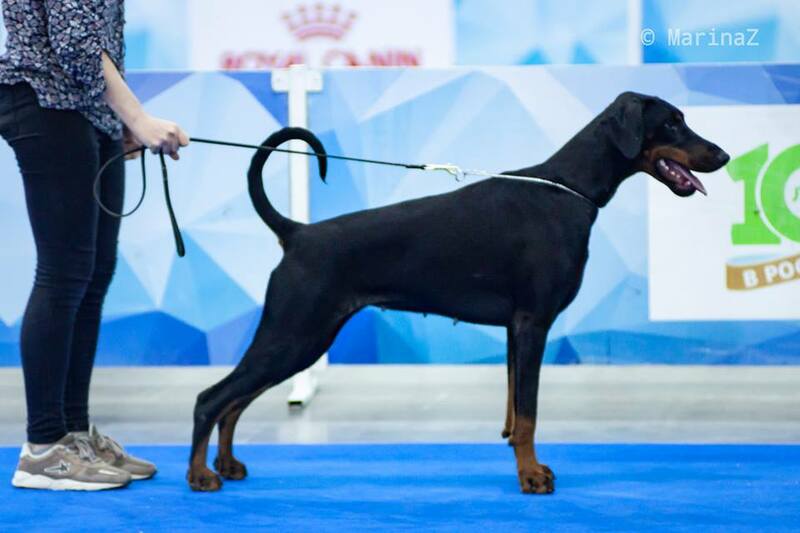 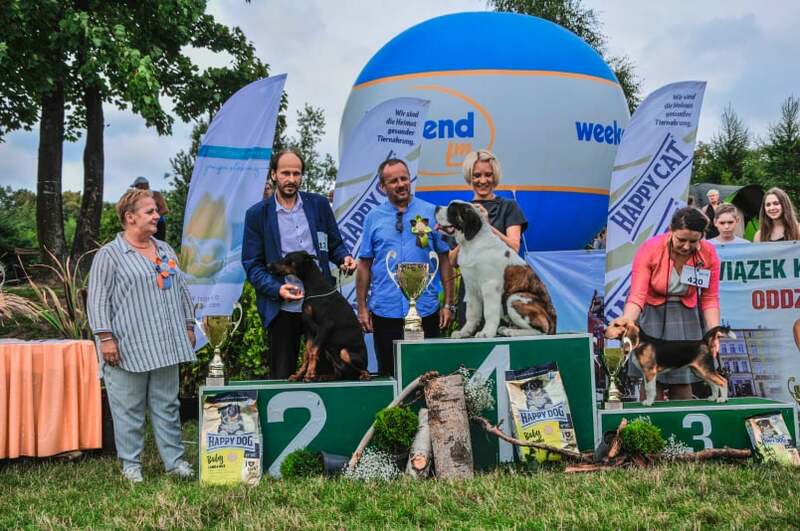 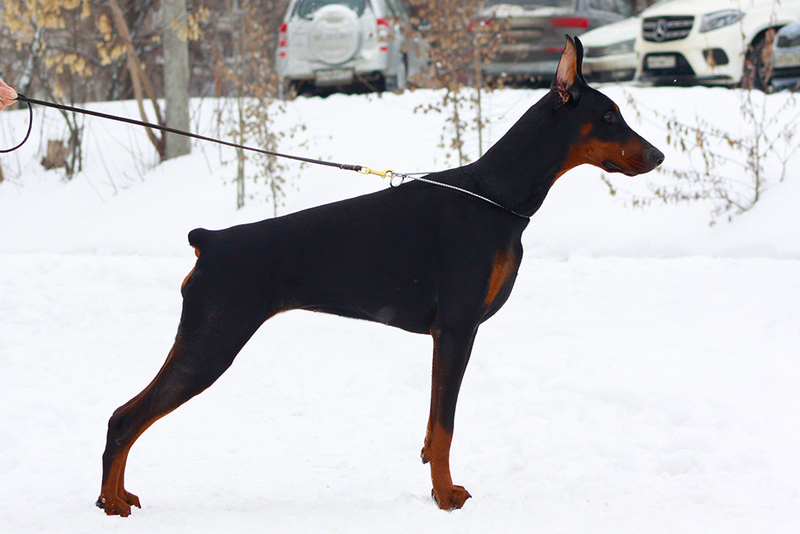 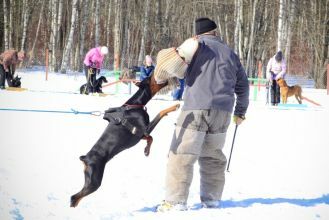 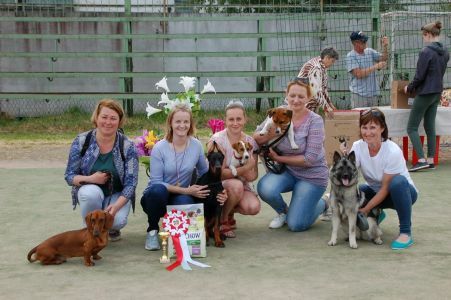 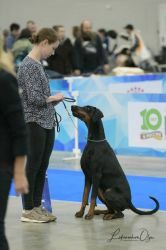 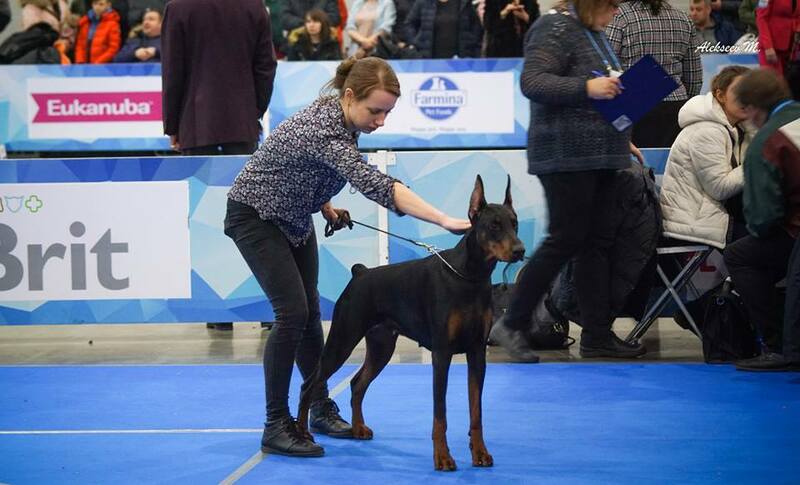 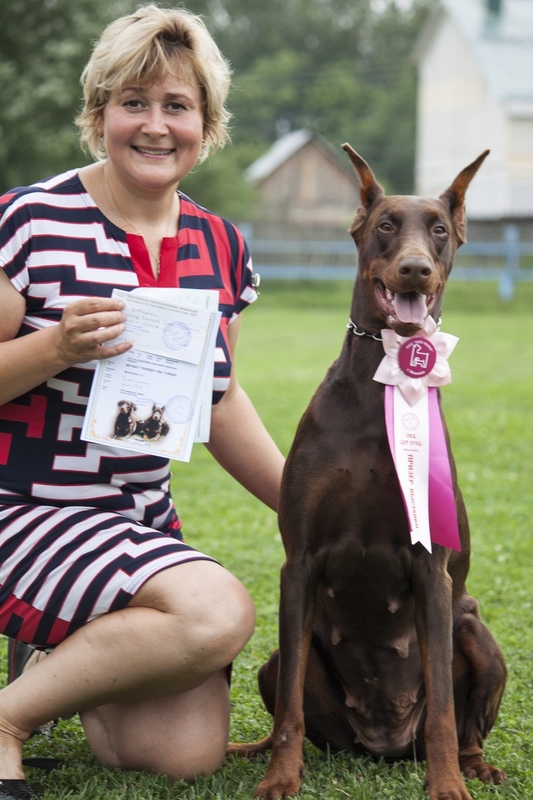 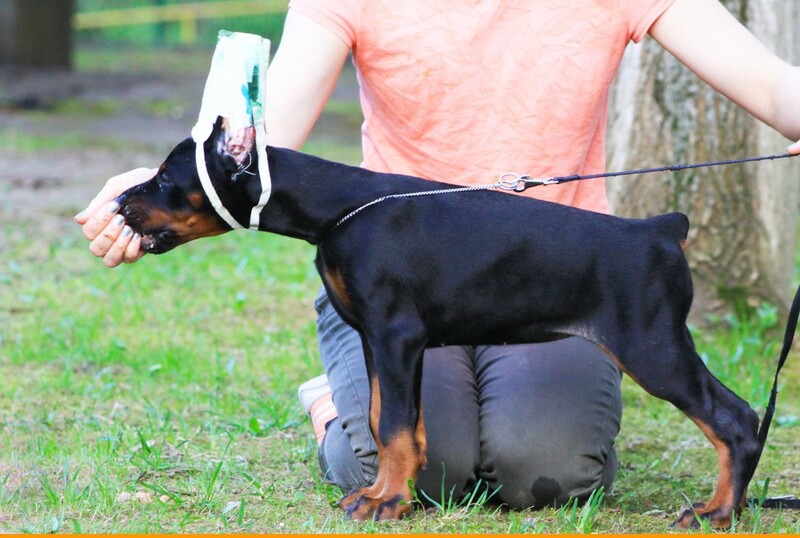 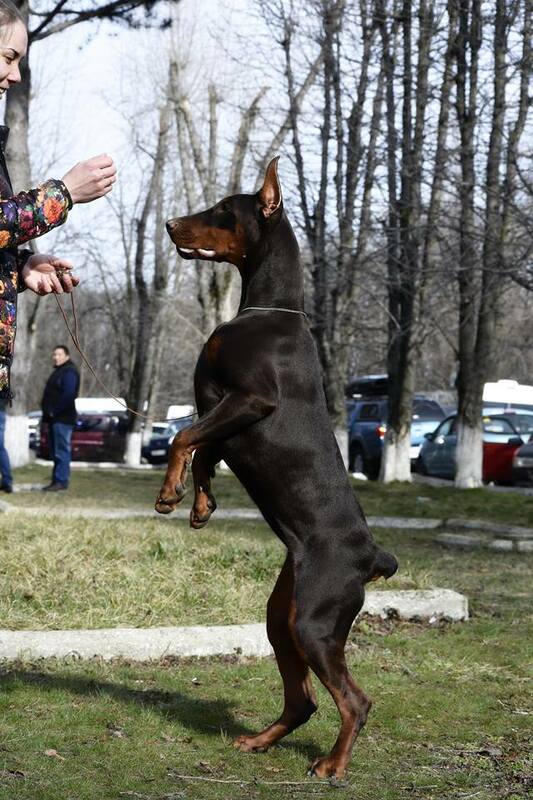 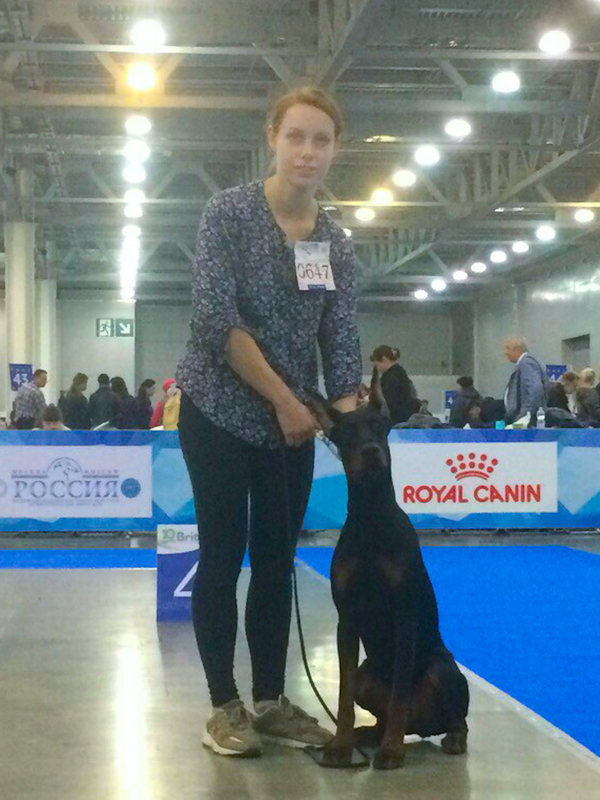 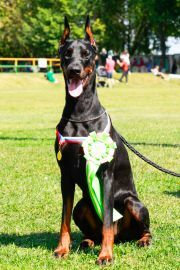 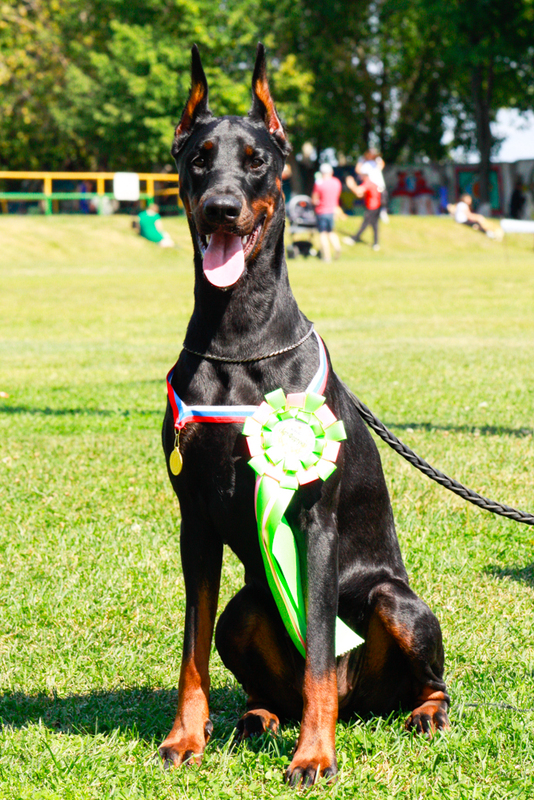 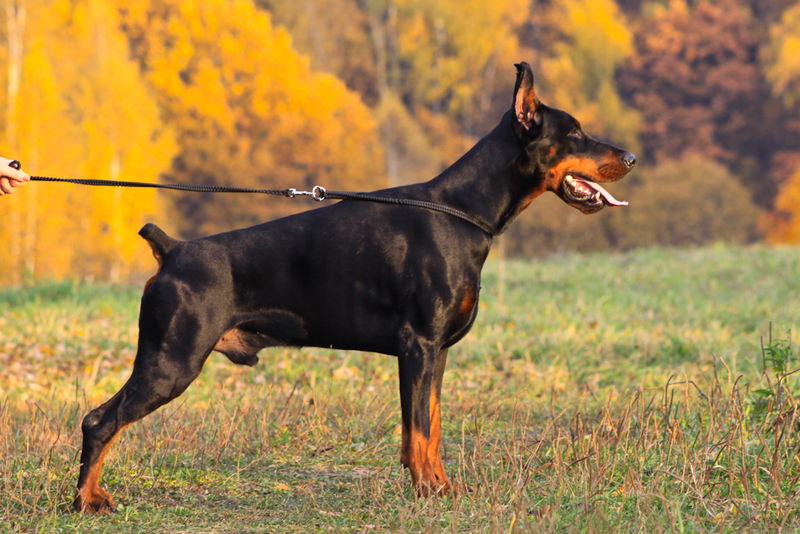 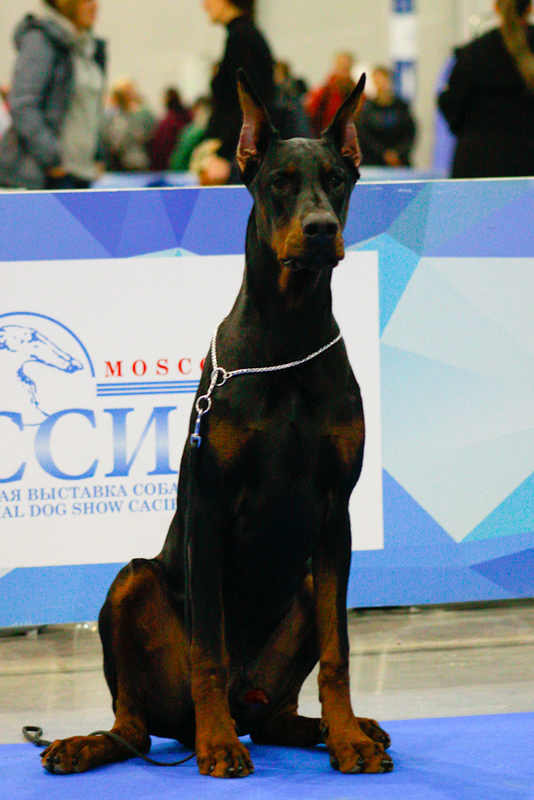 in intermediate class, CAC, BOS, CHAMPION OF RUSSIA!!! 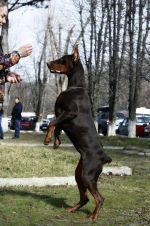 Oreto Mia Volodar - 1 exc. 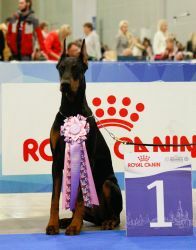 in Champion Class, CCC, BOB Brown!!! Oreto Mia Etoile Noire - 1 exc., CAC, CACIB, BOS!!! CHAMPION OF RUSSIA and CHAMPION OF RKF!!! 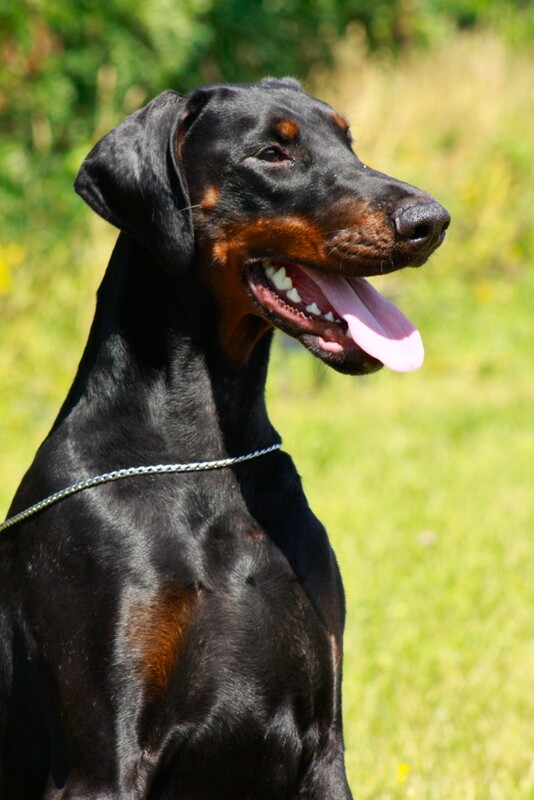 Oreto Mia Here Comes the Sun - 1 exc. 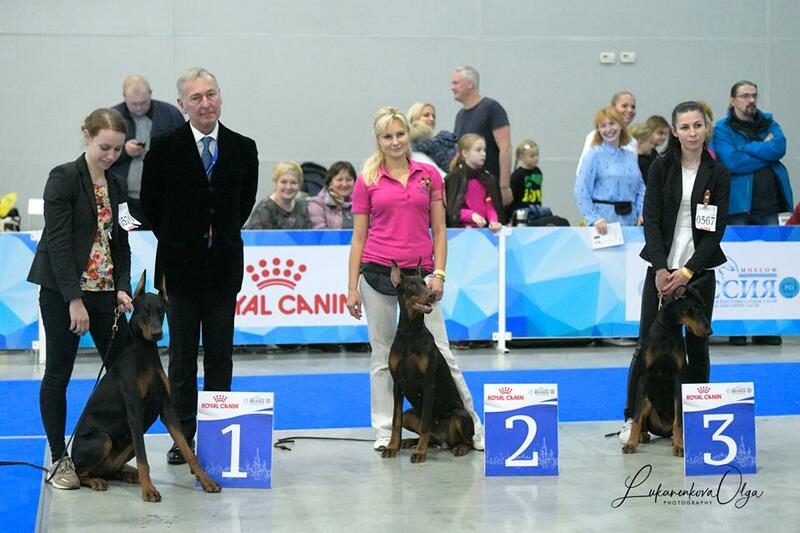 in Junior Class, 2хJCAC, 2xBest Junior, 2хBOB!!! 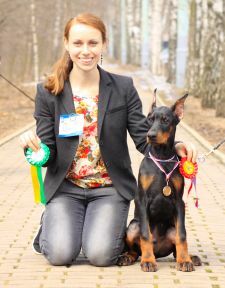 Oreto Mia Gwendolen - became the CHAMPION OF BELARUS!!! We are waiting for puppies in February!